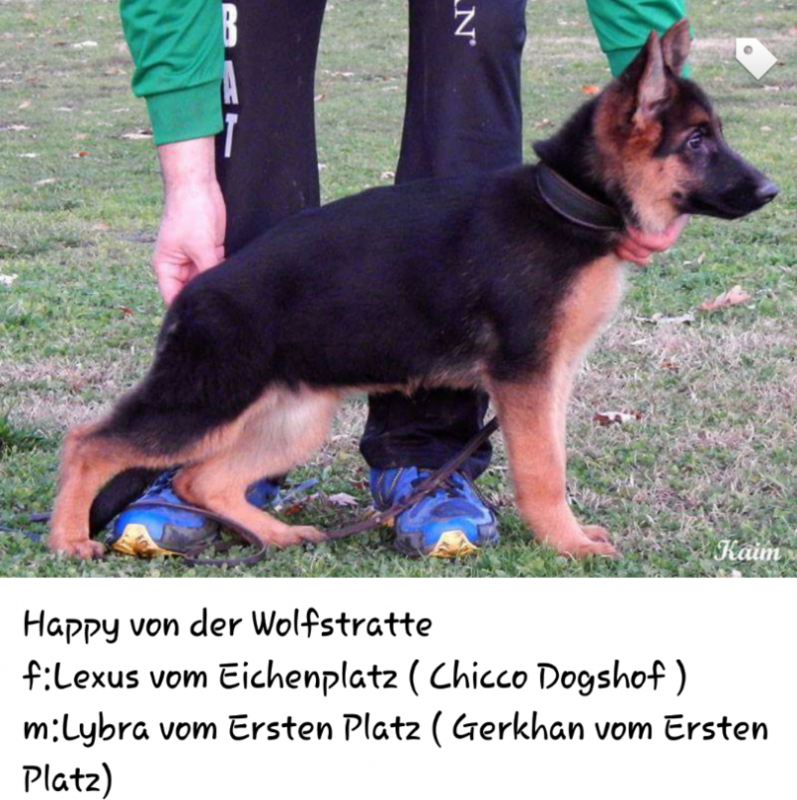 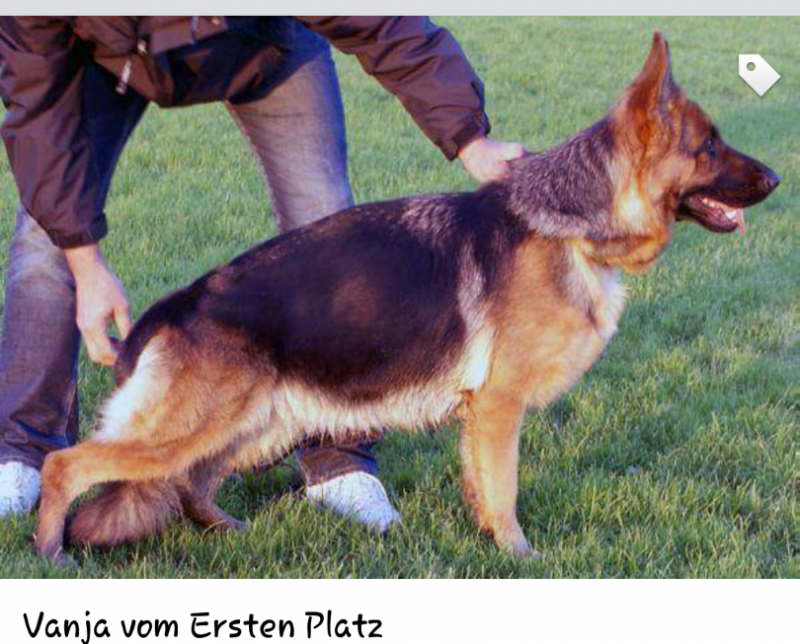 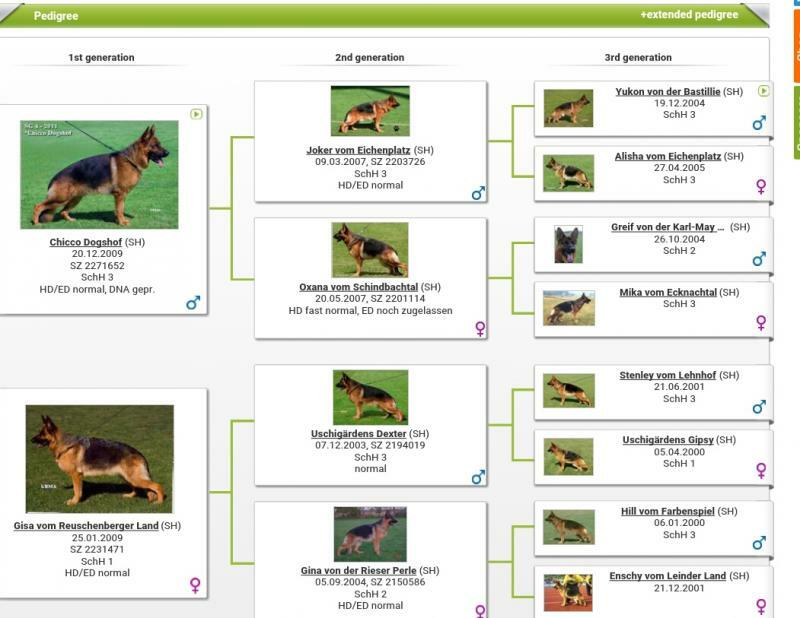 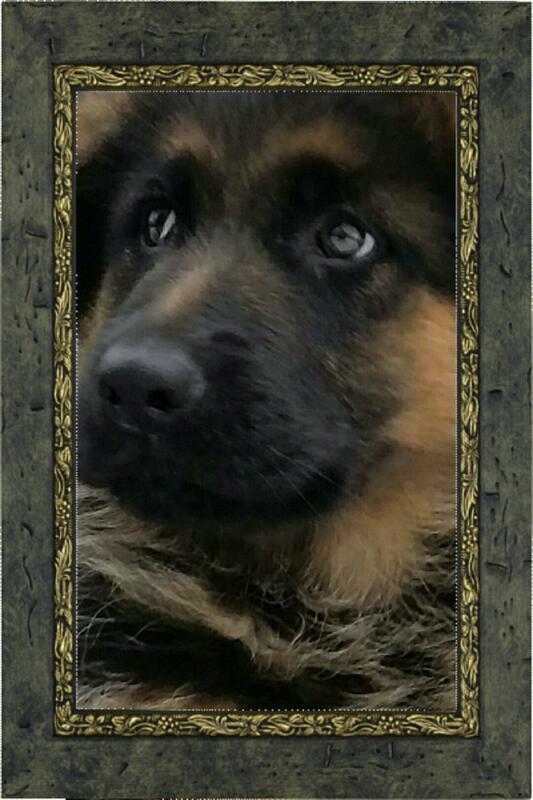 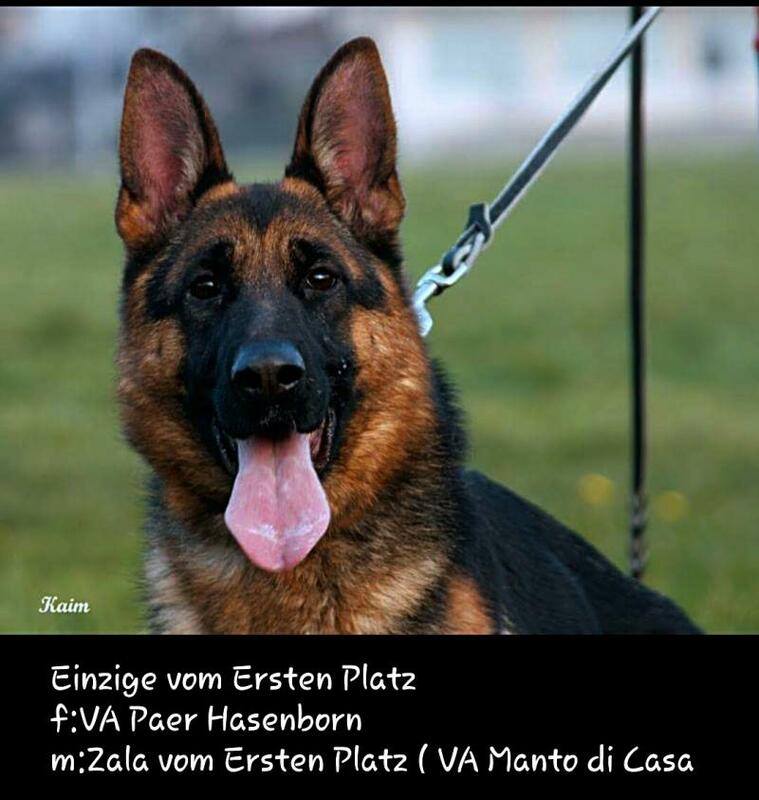 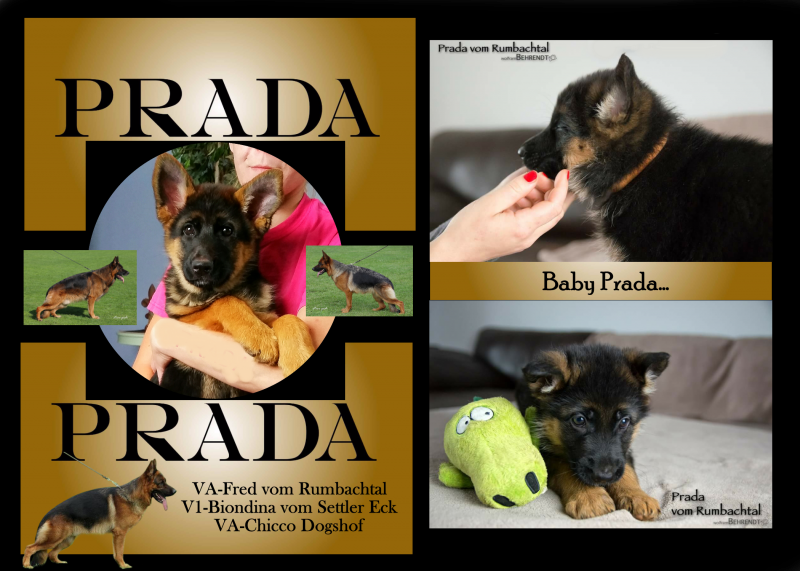 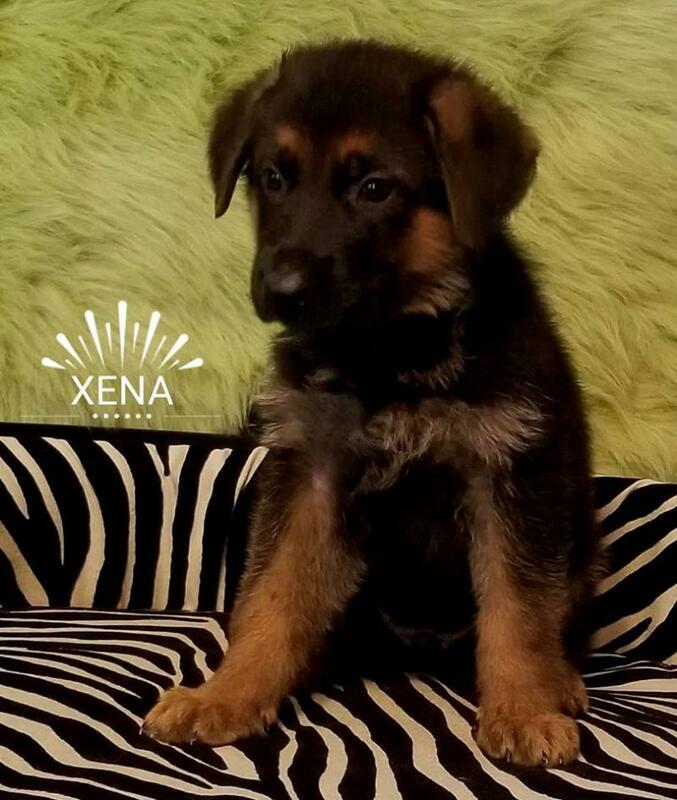 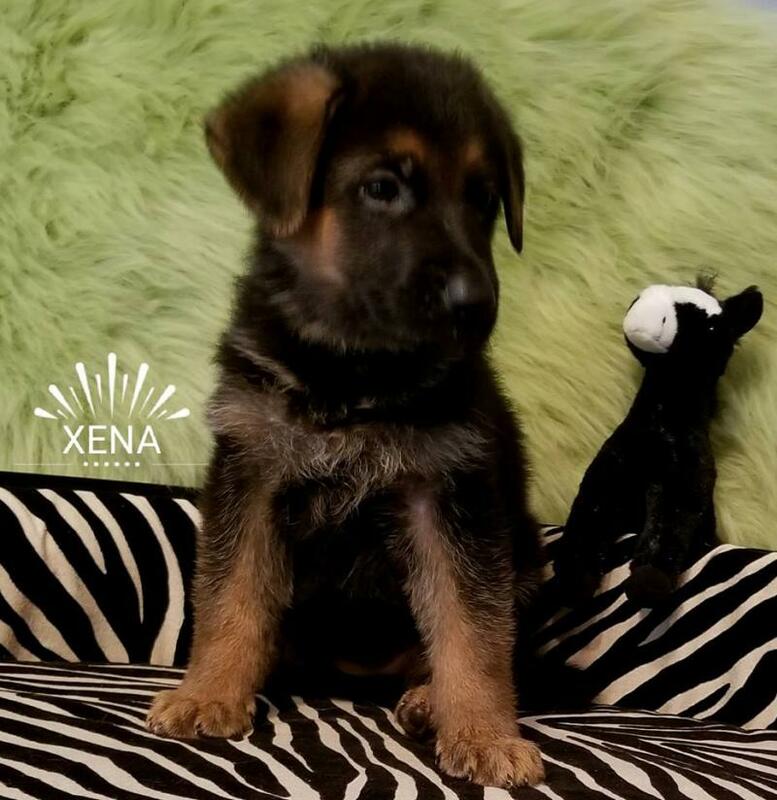 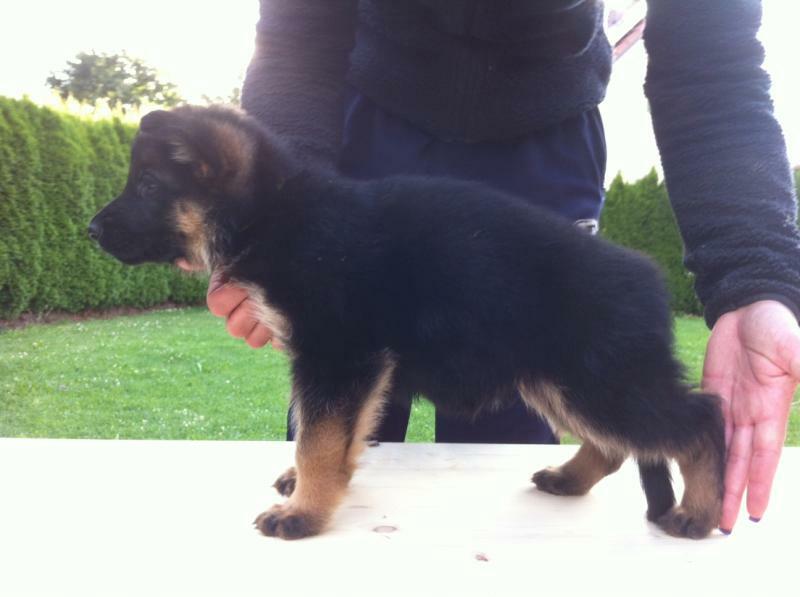 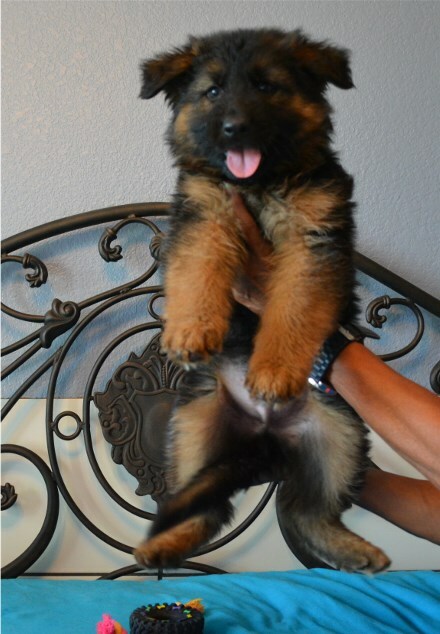 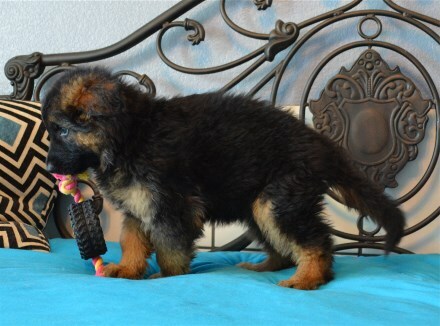 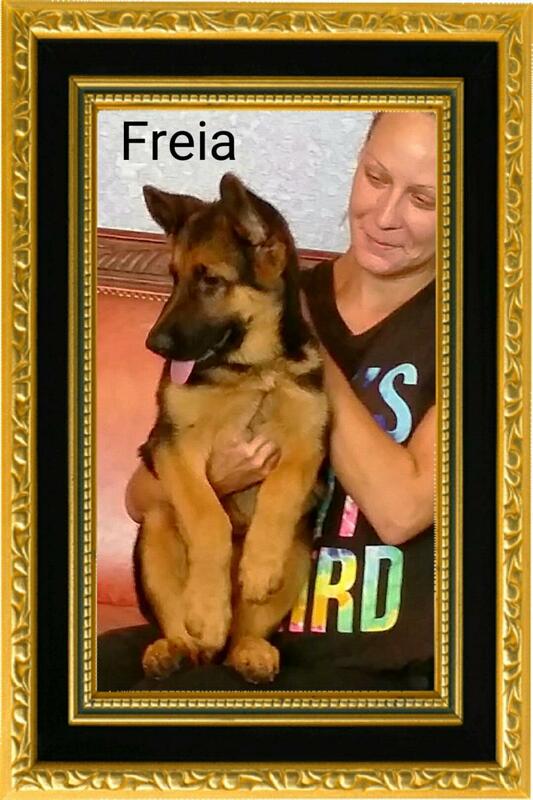 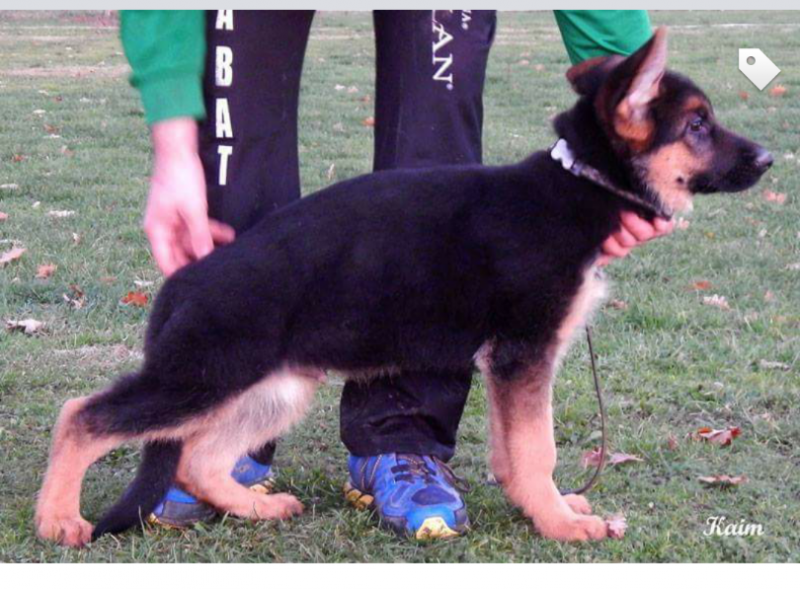 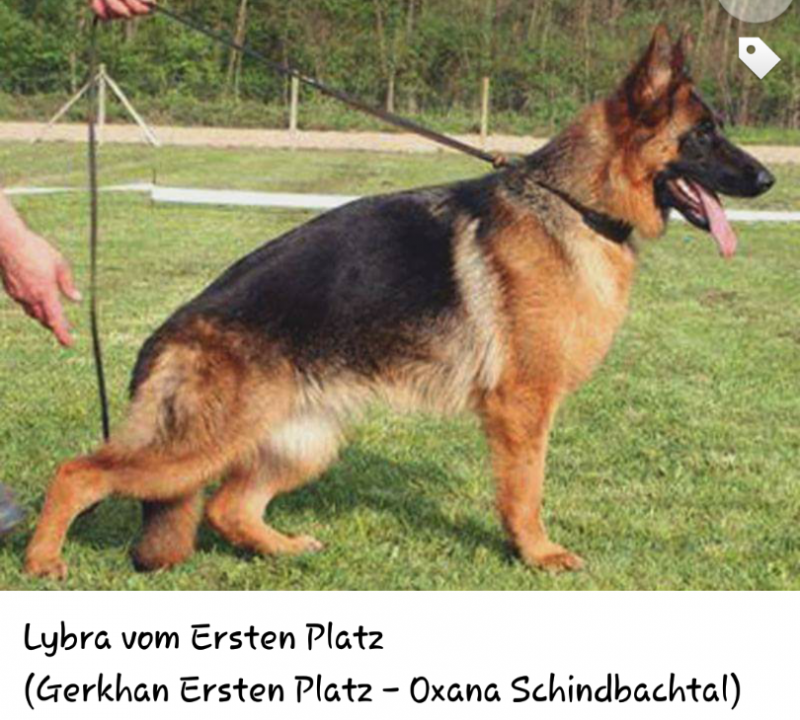 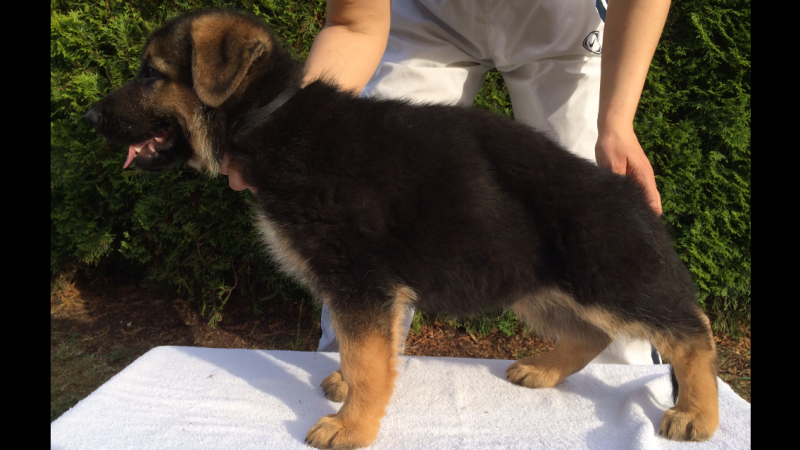 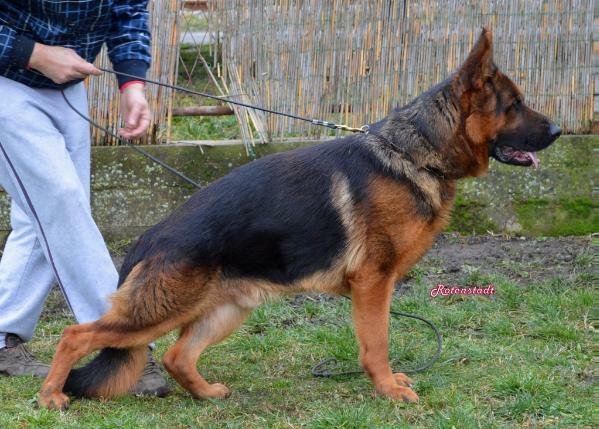 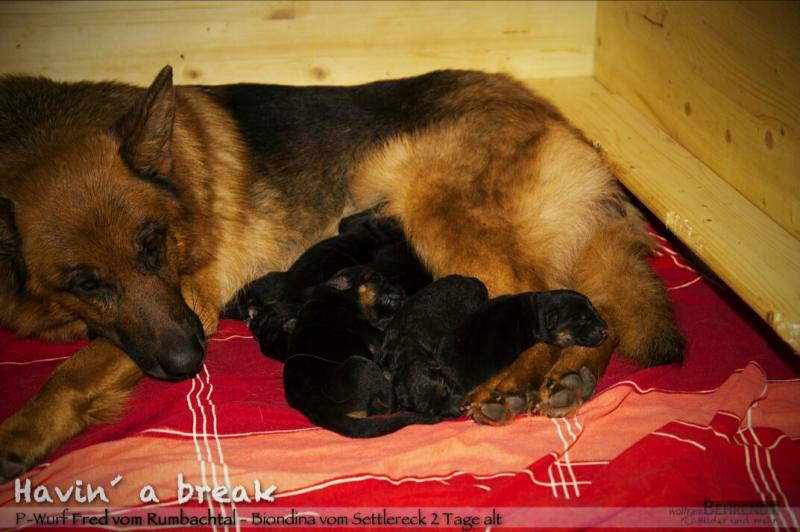 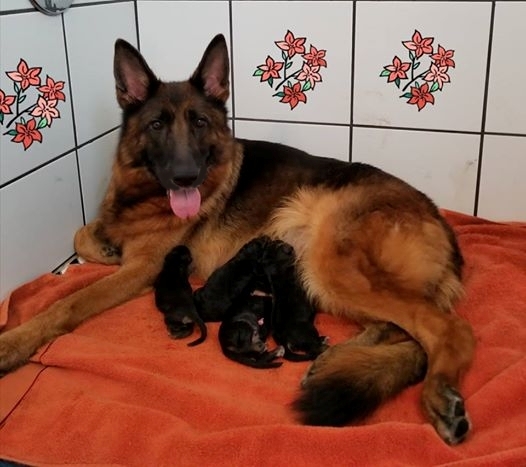 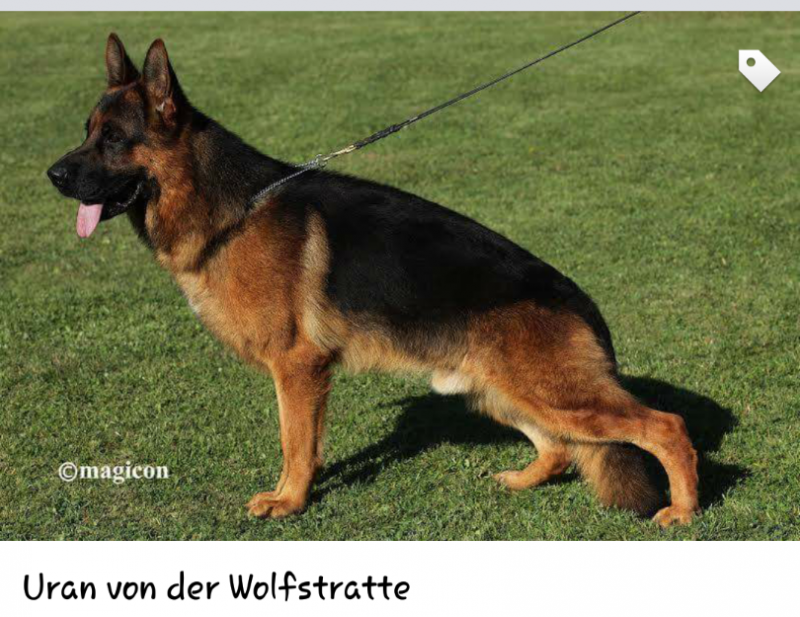 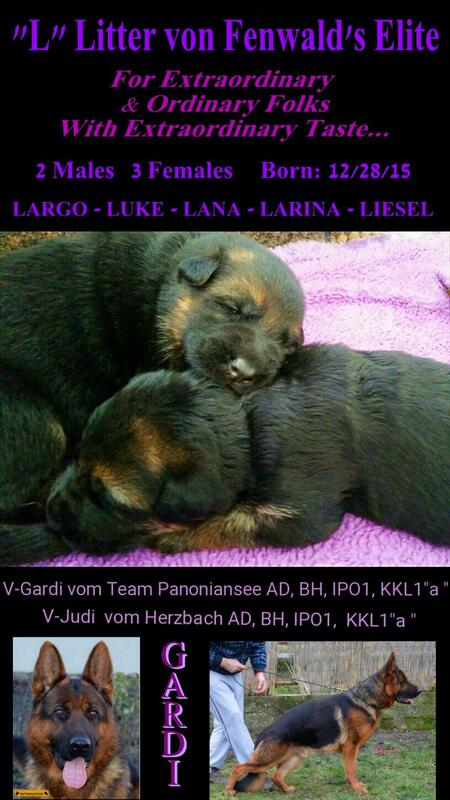 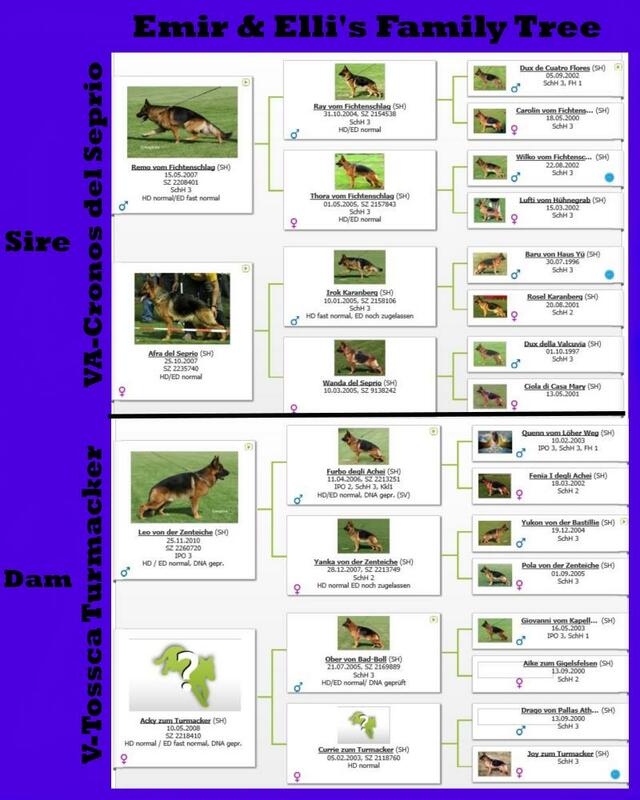 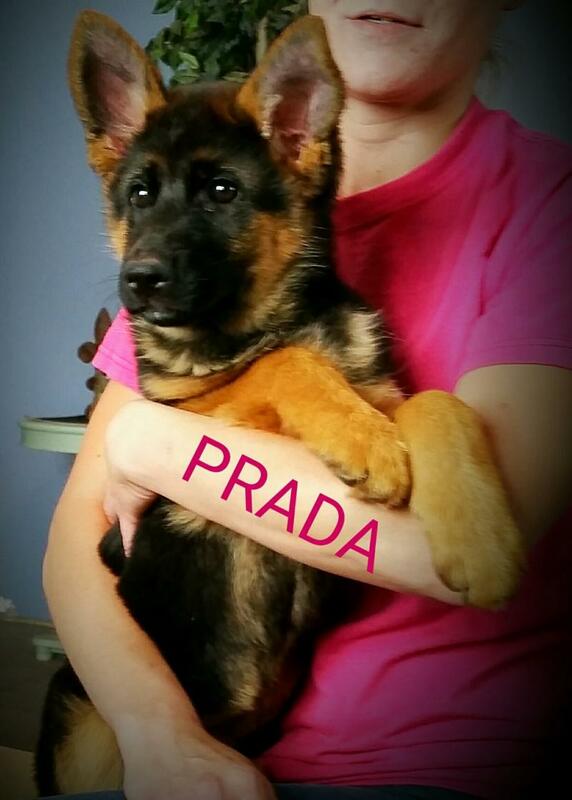 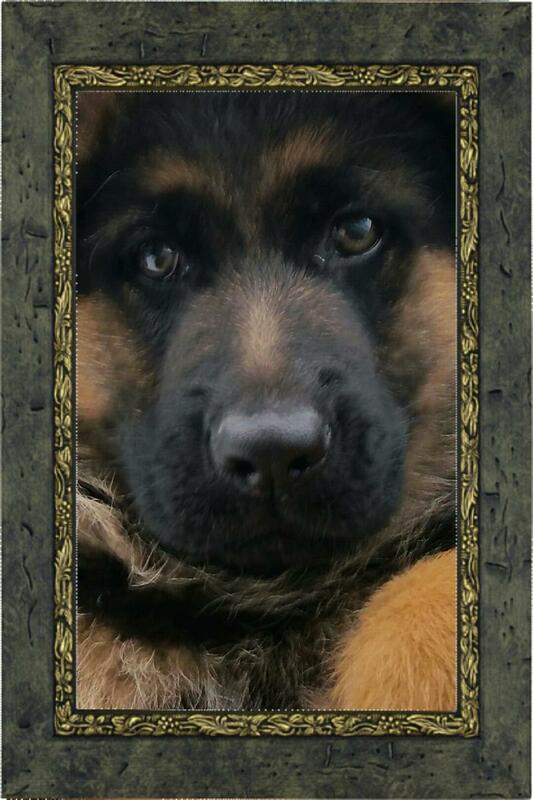 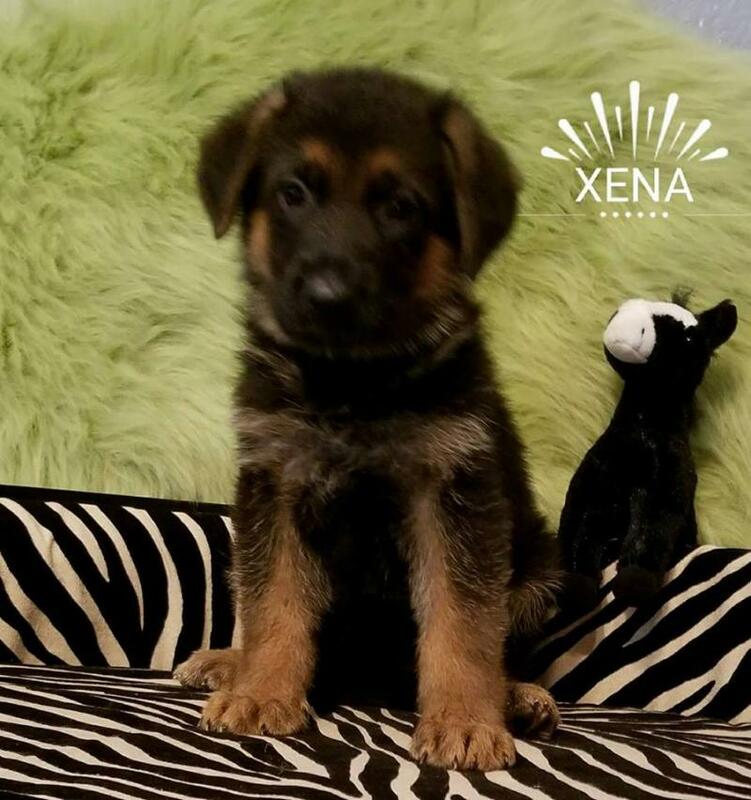 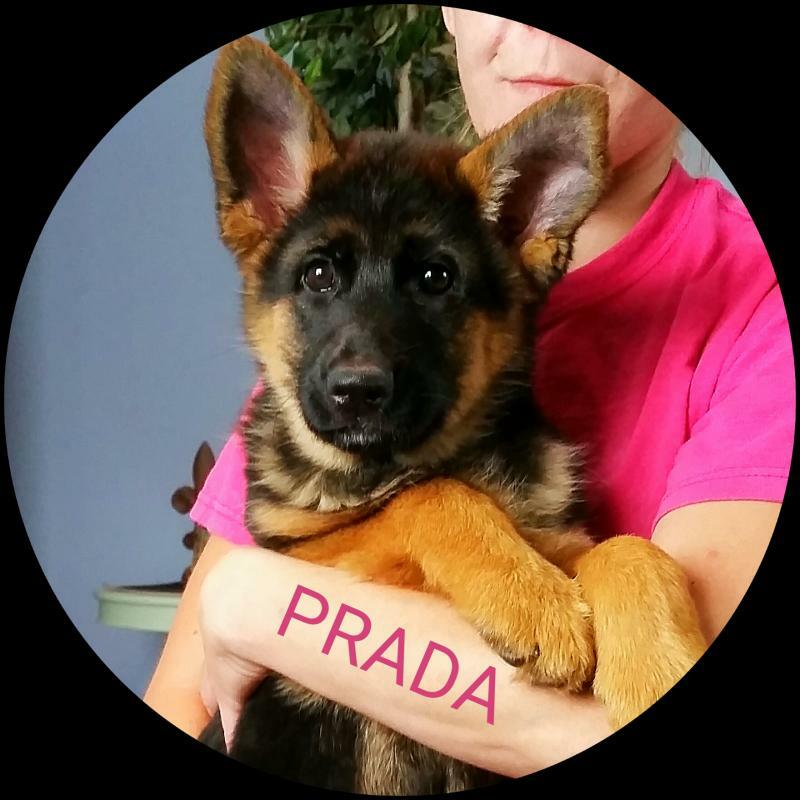 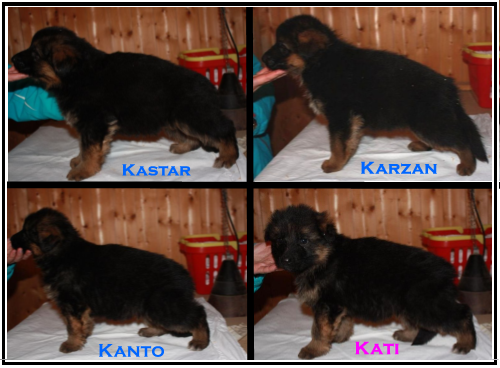 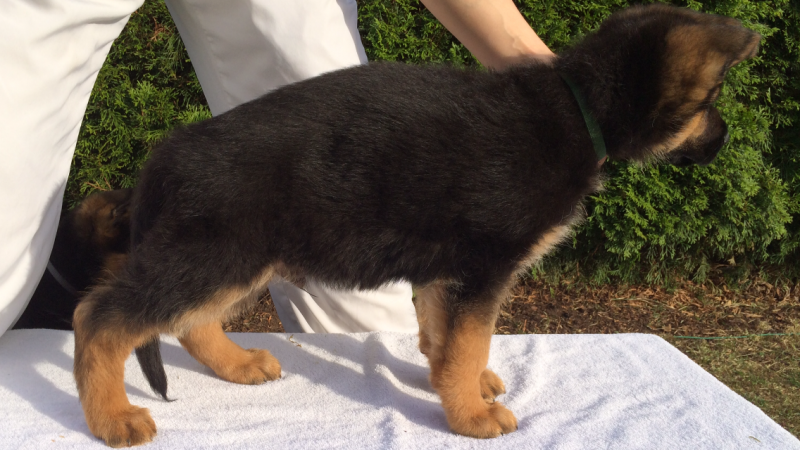 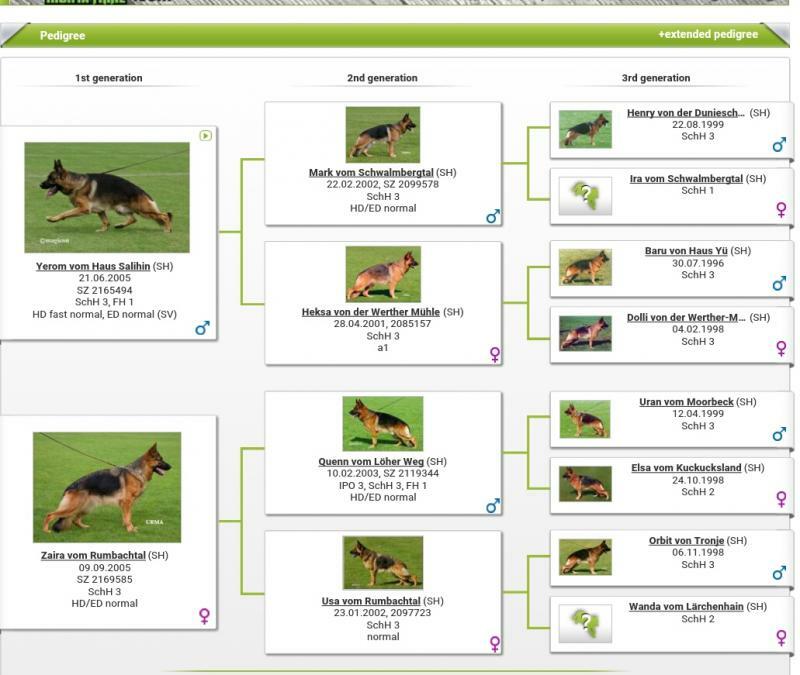 1 Male "Dax" 1 Female "Donja"
Dam: SG-Laika vom Messina "a"
Petra SOLD Congrats Vera of Houston! 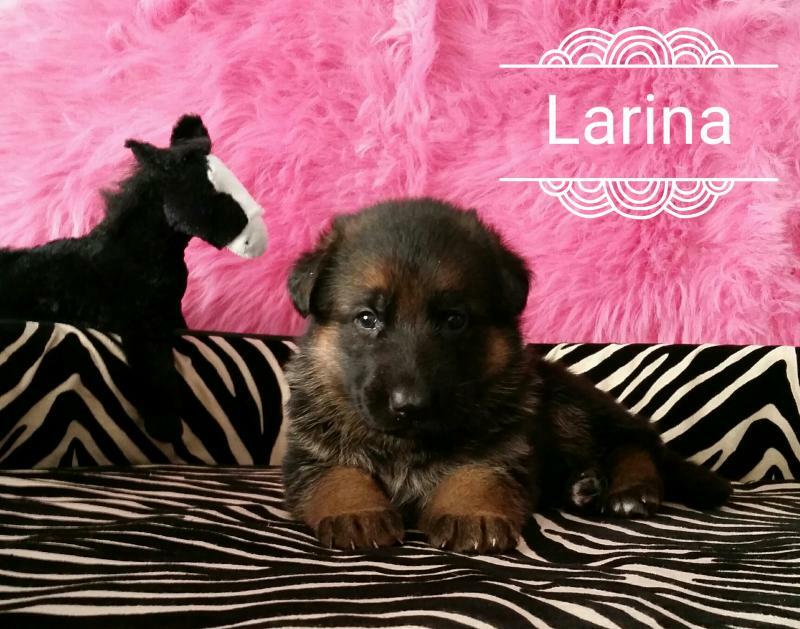 Parina SOLD Congrats Kathleen in Georgia﻿ ! 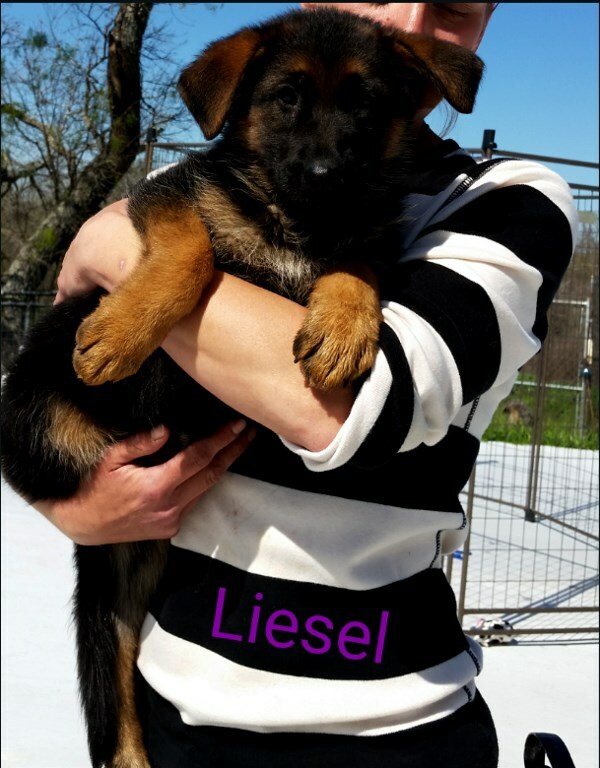 1 Female "Liesel" SUPER RED! 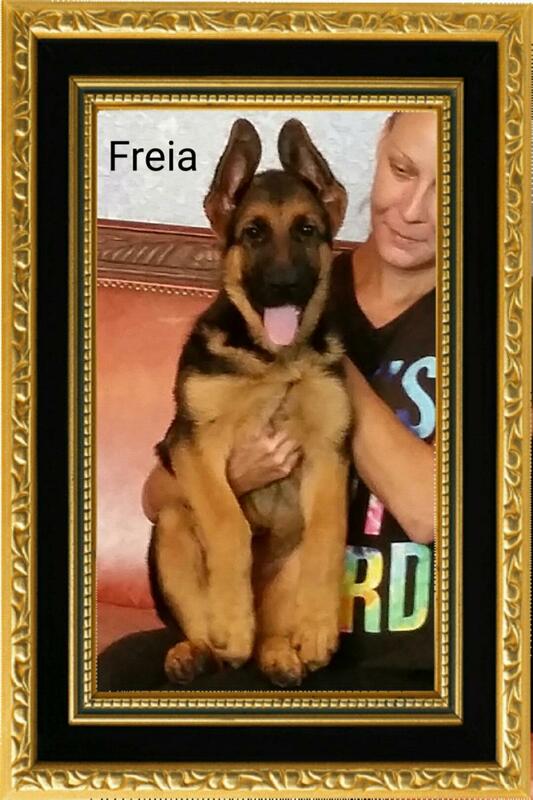 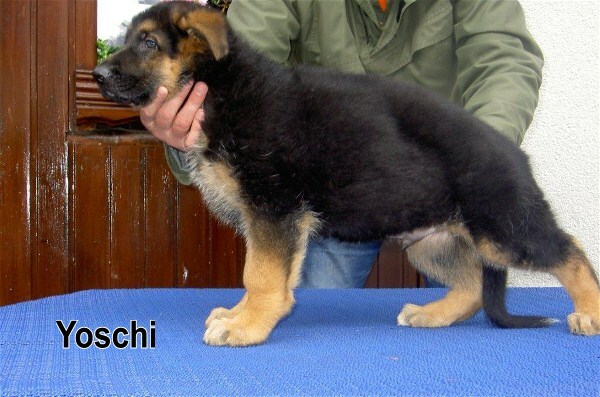 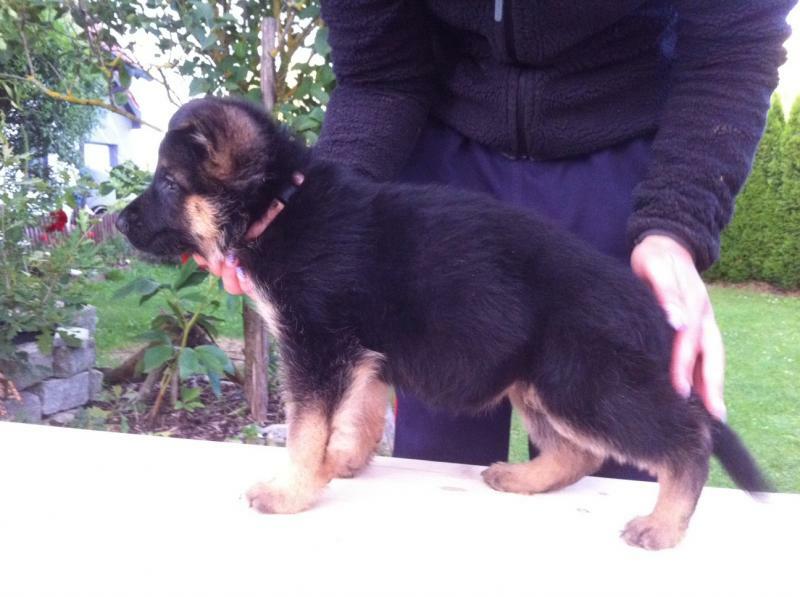 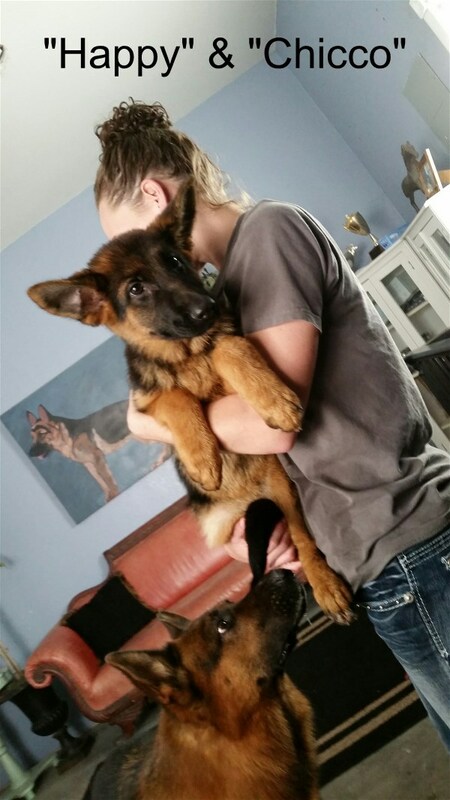 Imported Female, 5 months old. 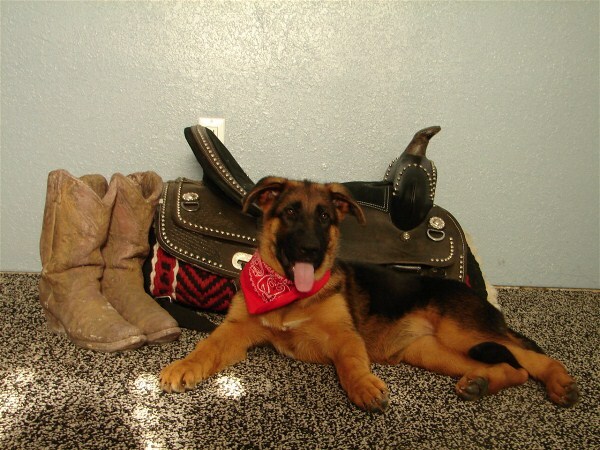 Leash broken & Off Leash Imprinted, Excellent disposition, friendly and kind with children, people & other dogs. 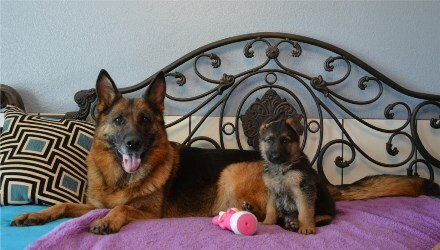 She definetely got her grandfather Chicco's pigment! 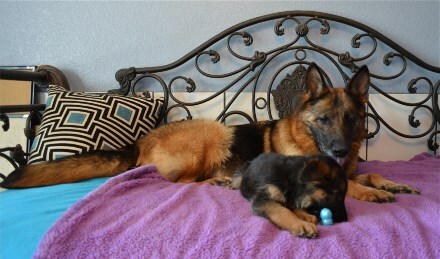 Kirk, Rose & their awesome kids on your new Pup. 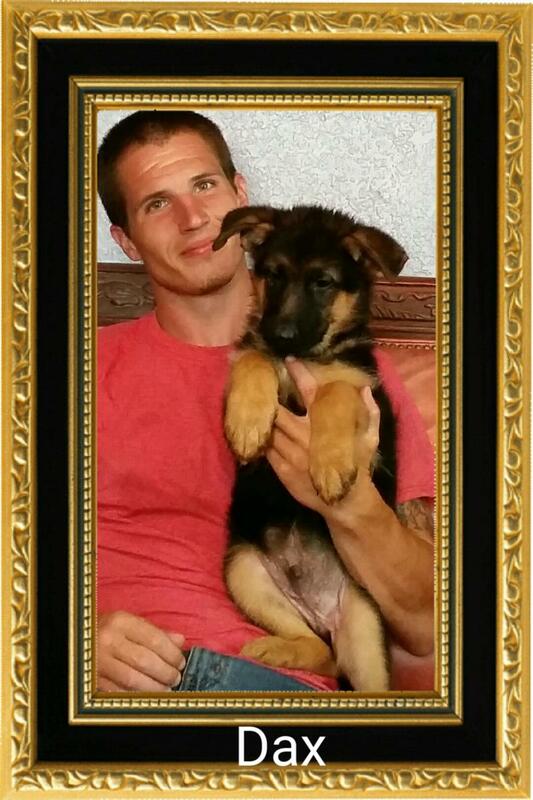 Congrats Germaine & Family in Oregon at your summer home. 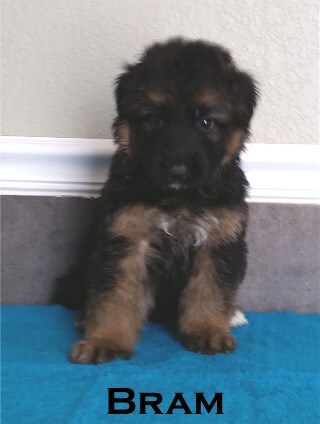 See you in about a month when you get back to Texas. 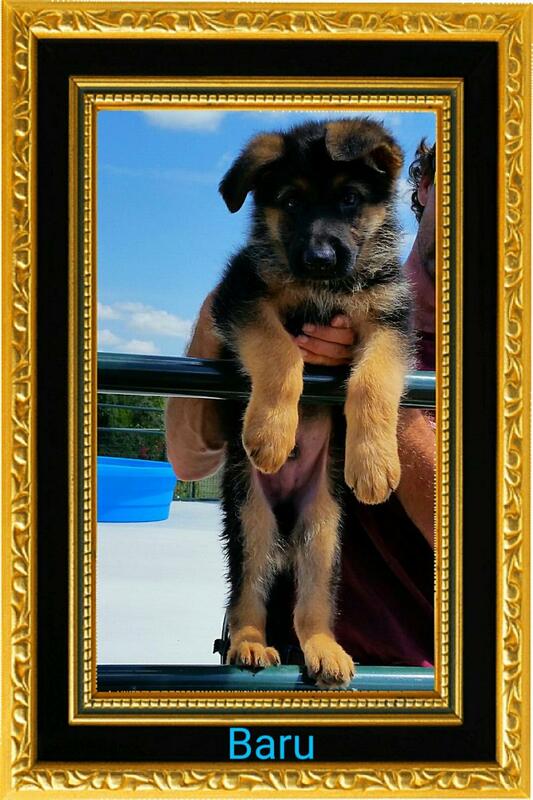 Congrats Maureen & Family of Maryland on your 2nd dog from us. 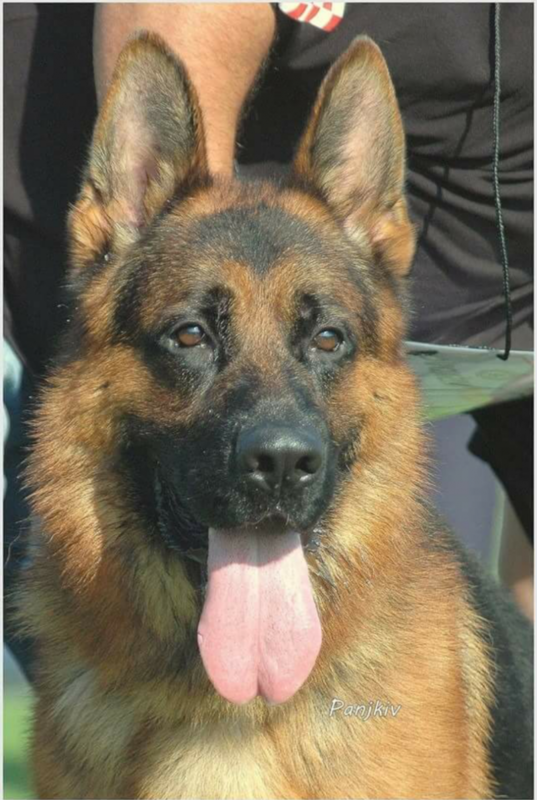 We know Apollo is gonna bring allot of joy to many as a Therapy Dog and Loving Companion. 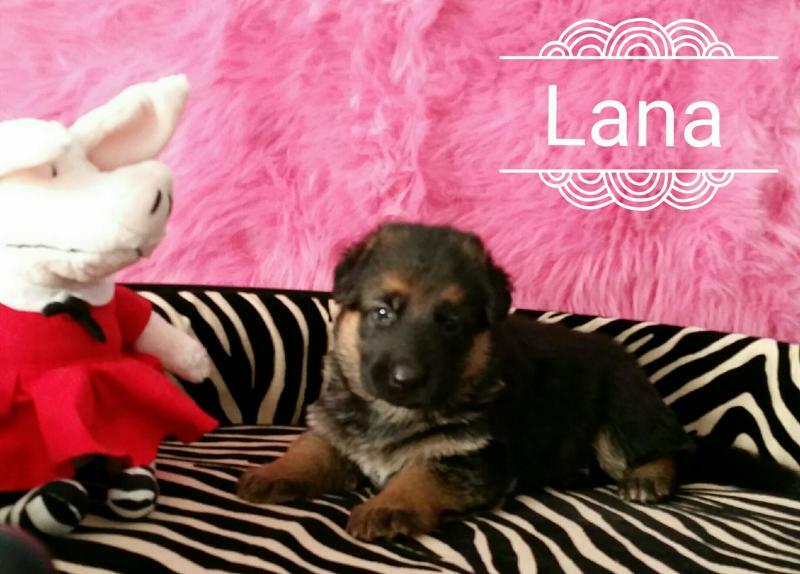 Congrats Randi of Texas. 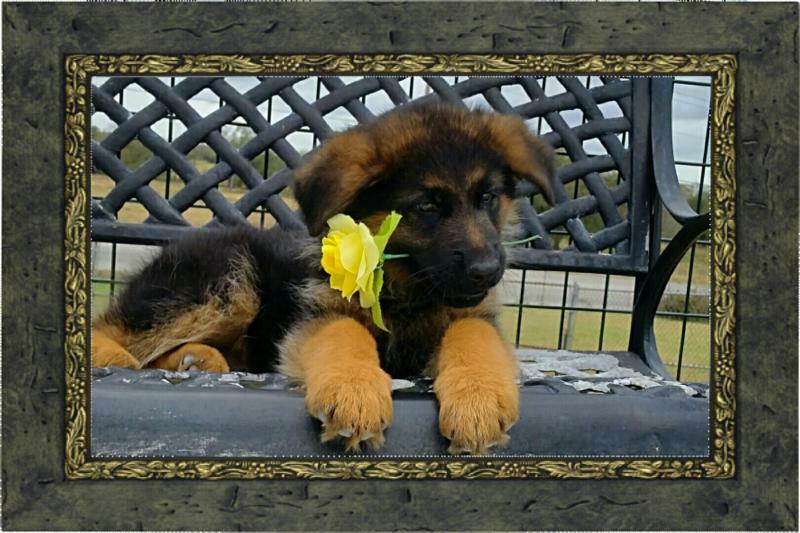 May Ary be as awesome as Sam. 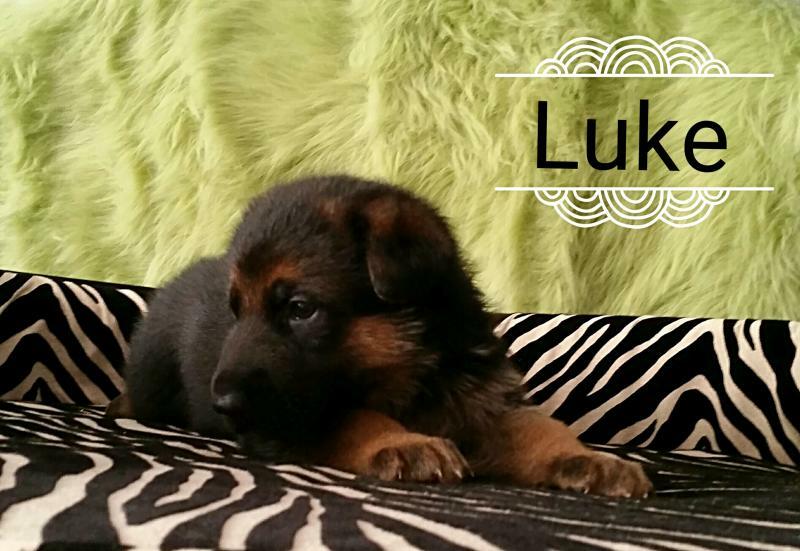 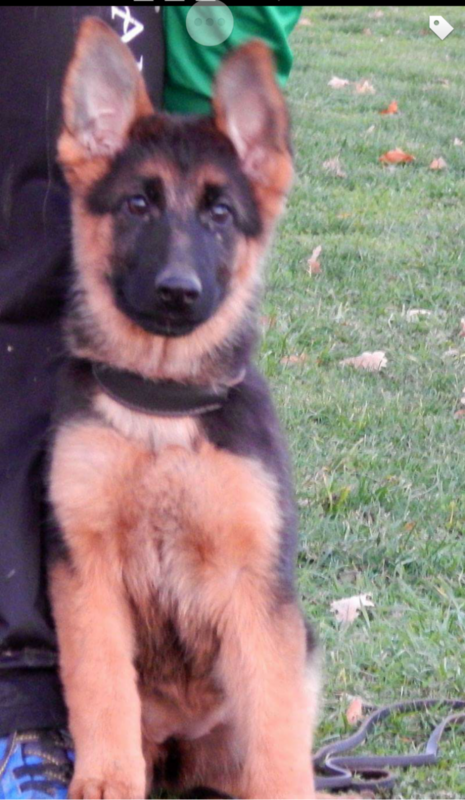 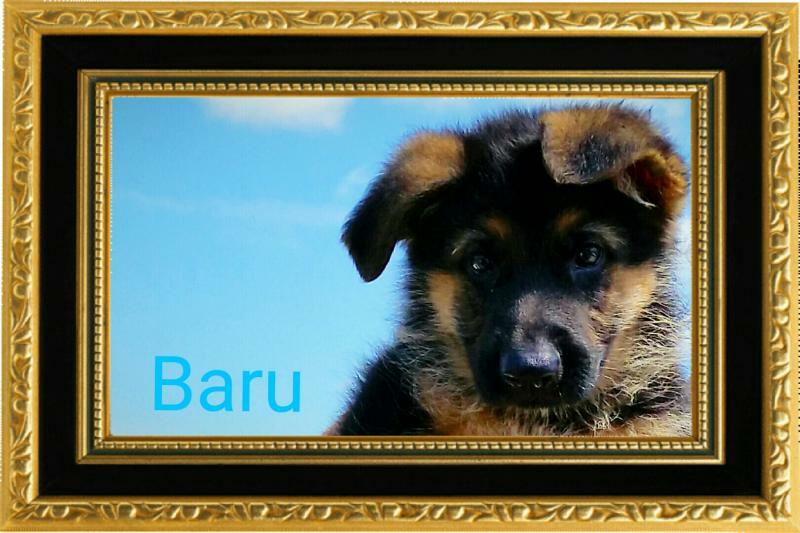 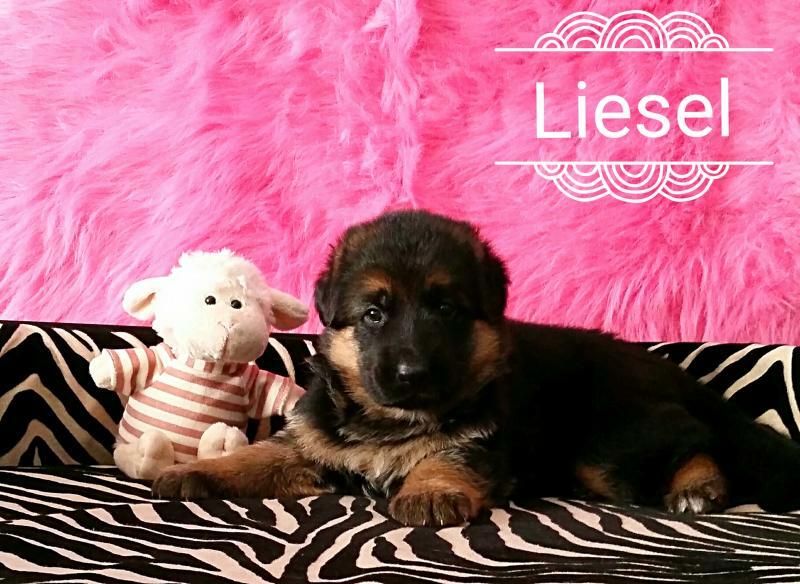 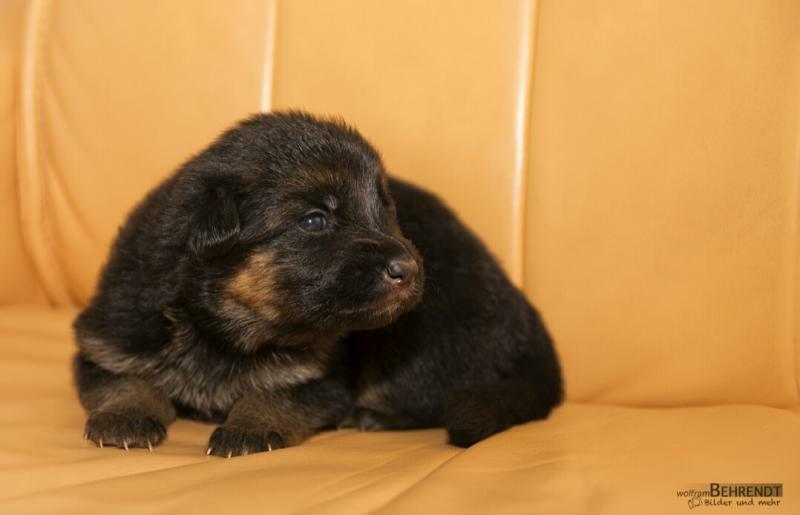 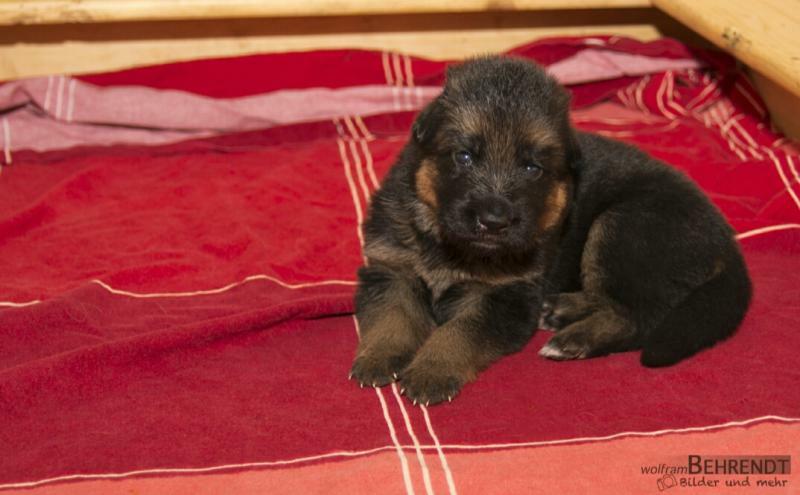 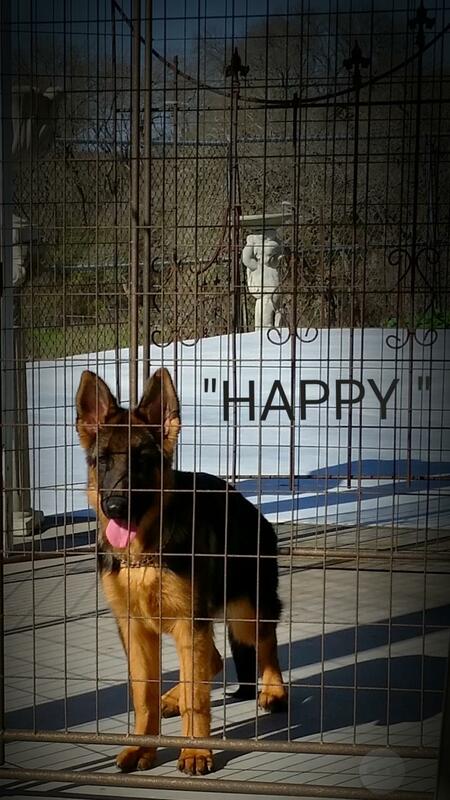 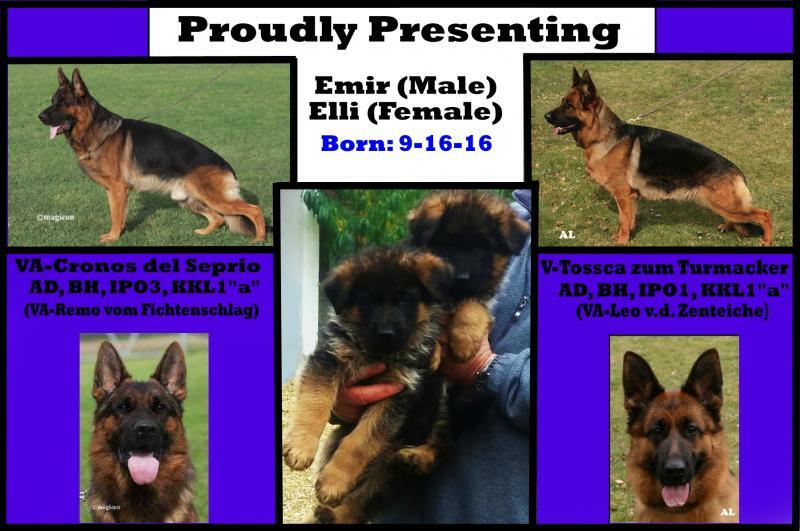 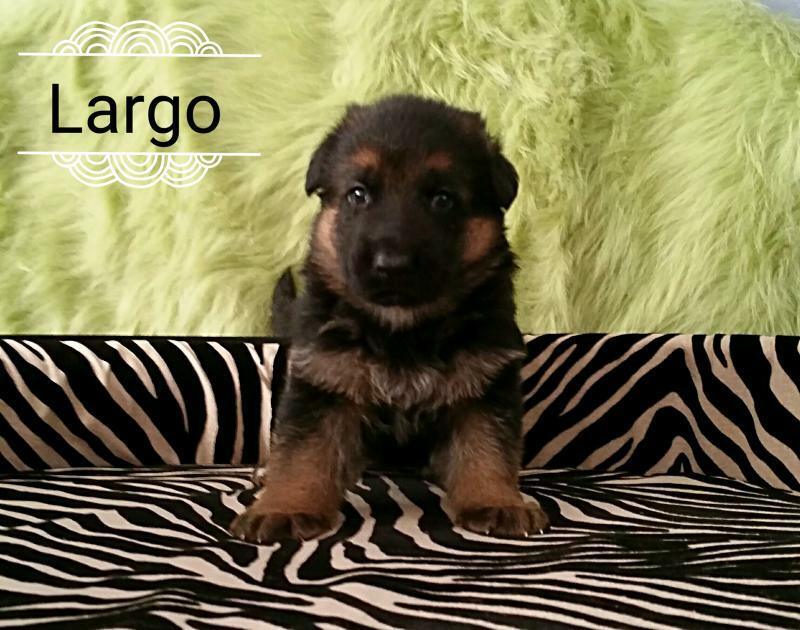 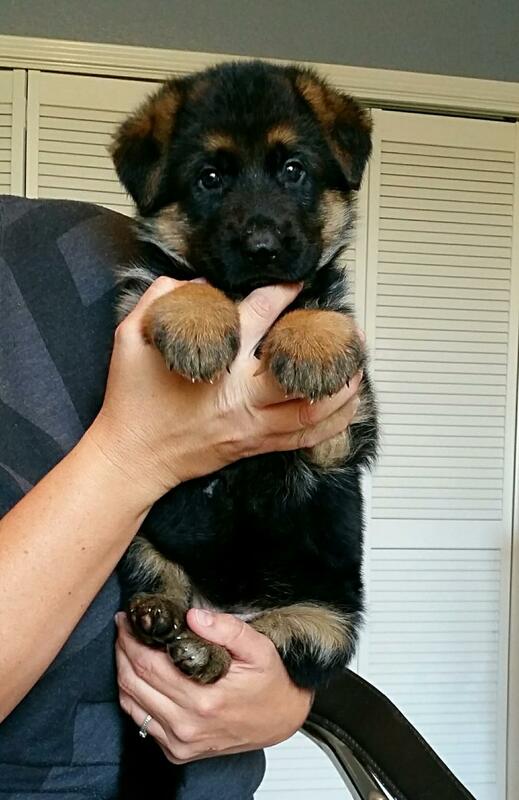 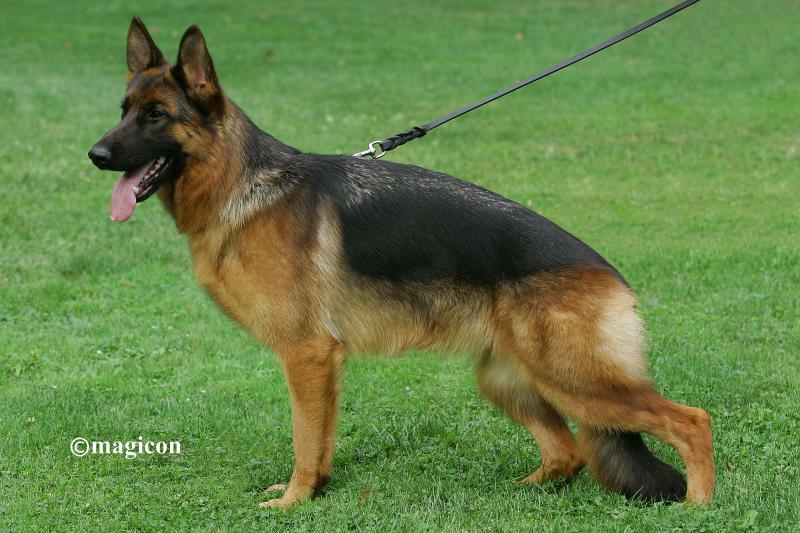 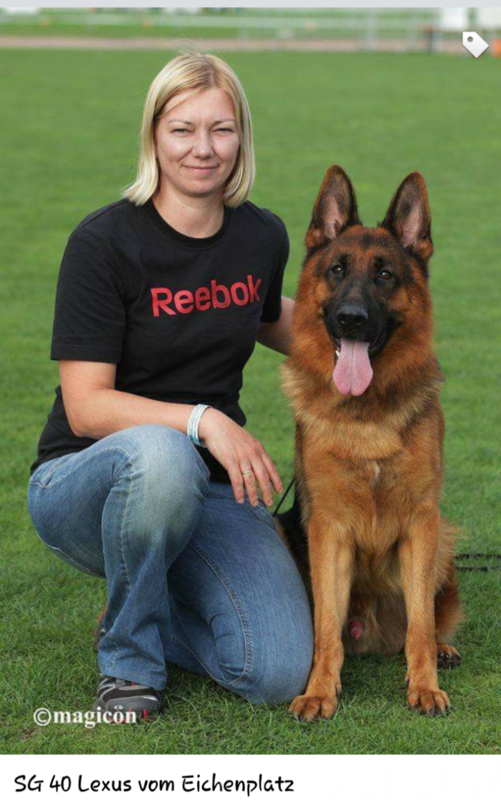 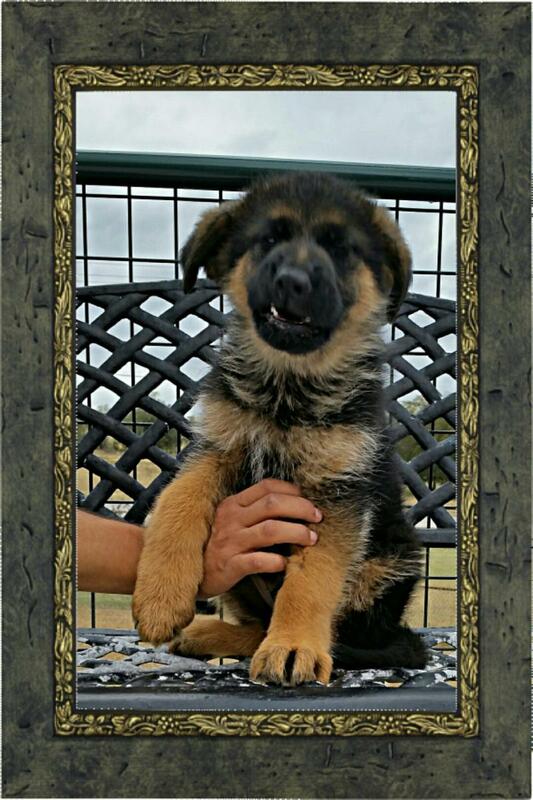 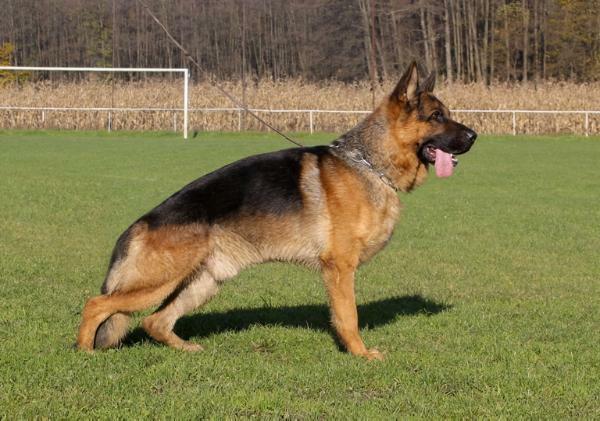 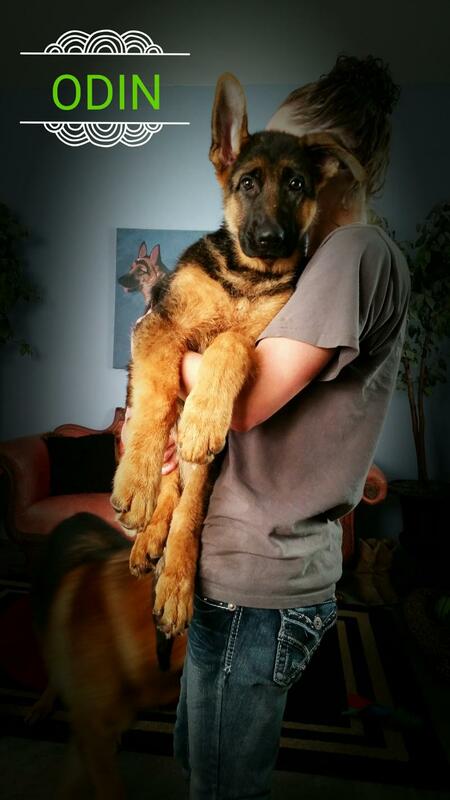 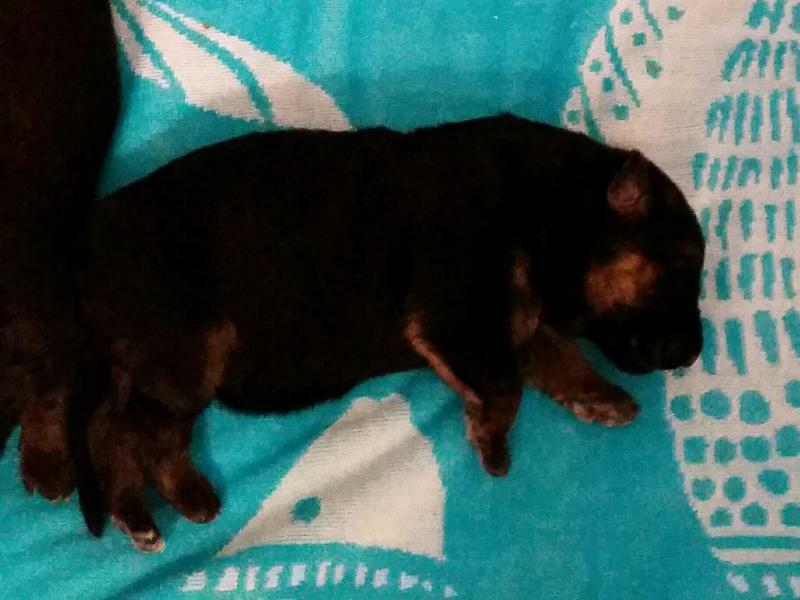 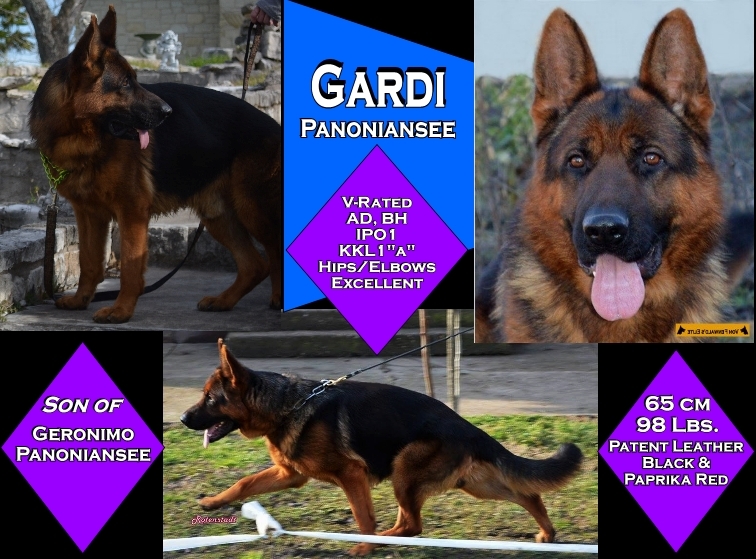 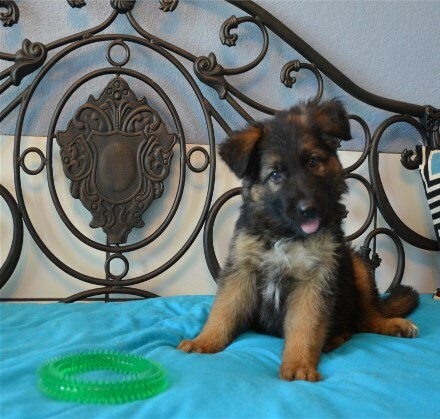 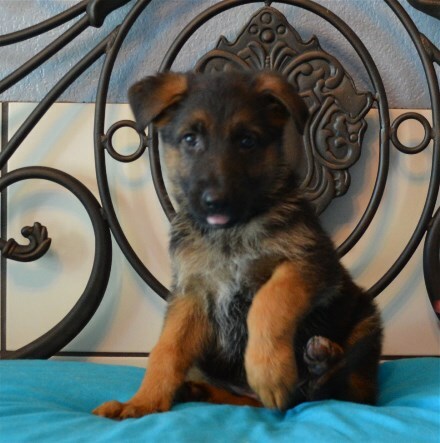 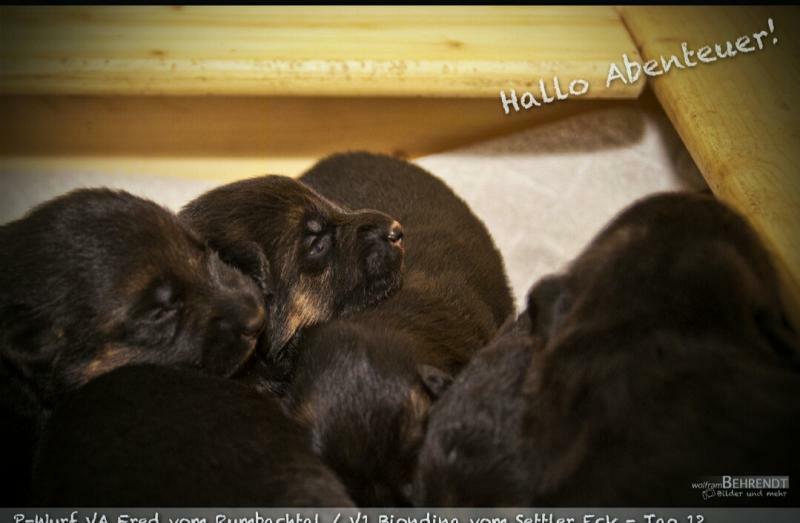 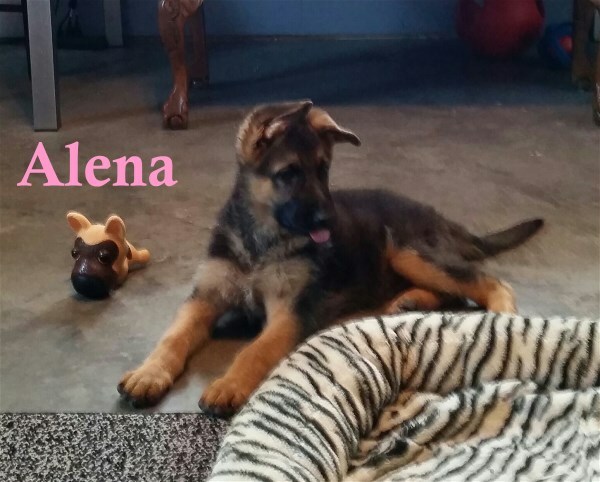 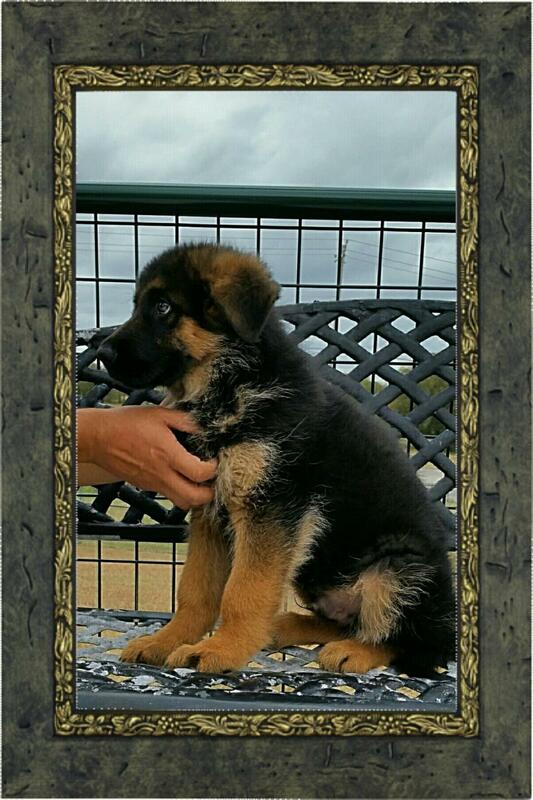 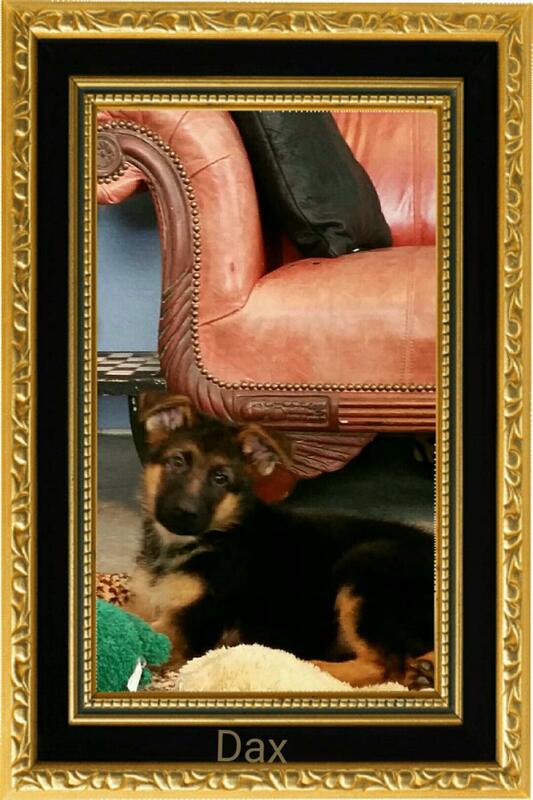 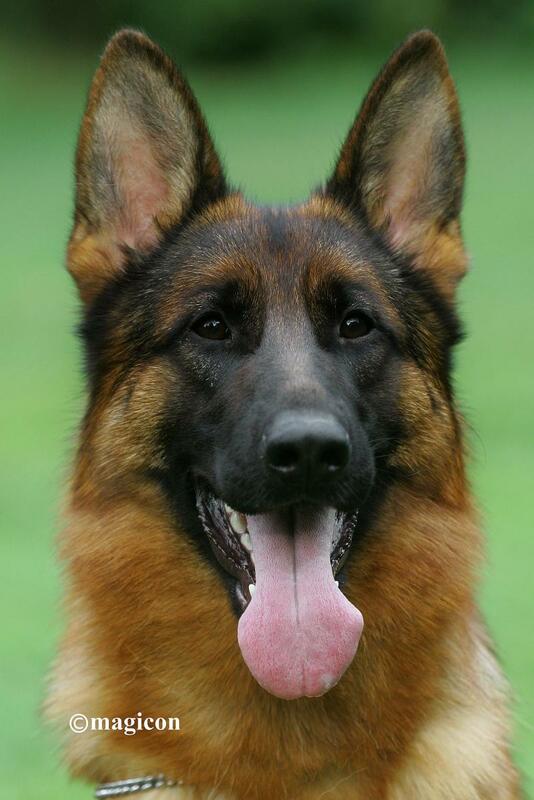 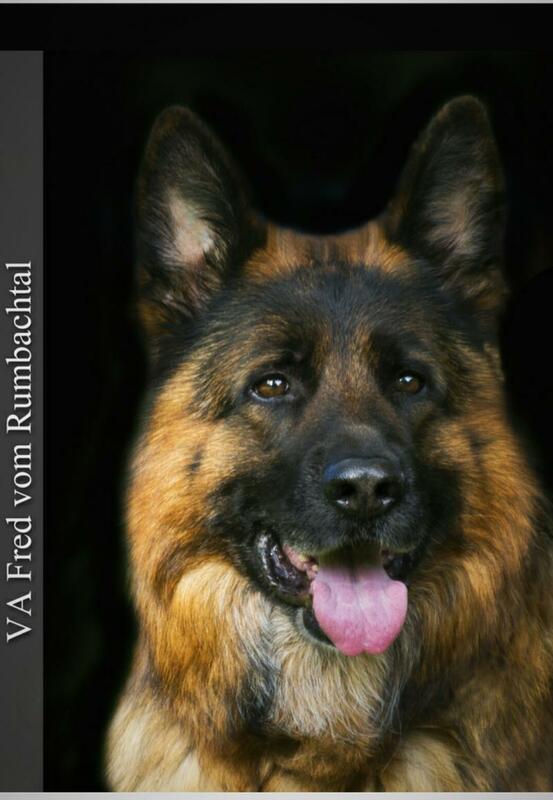 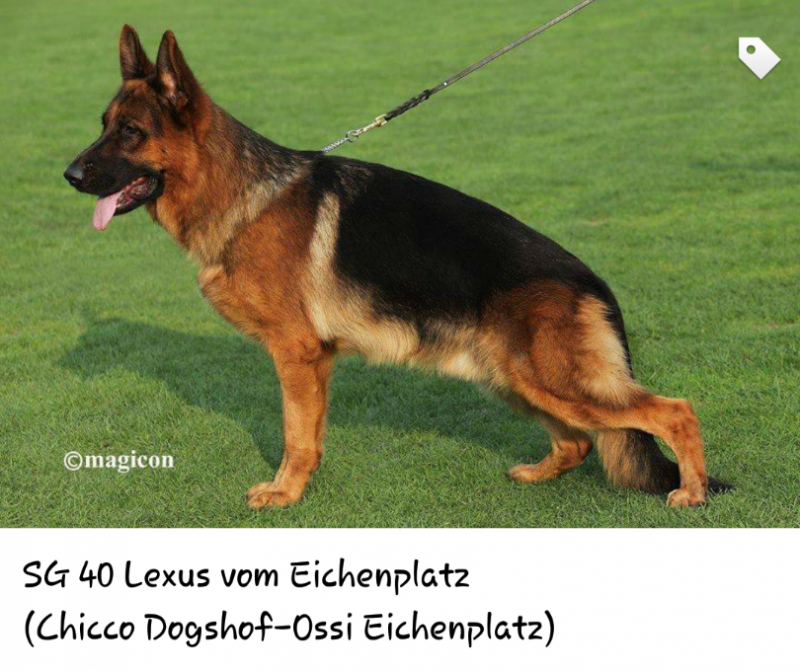 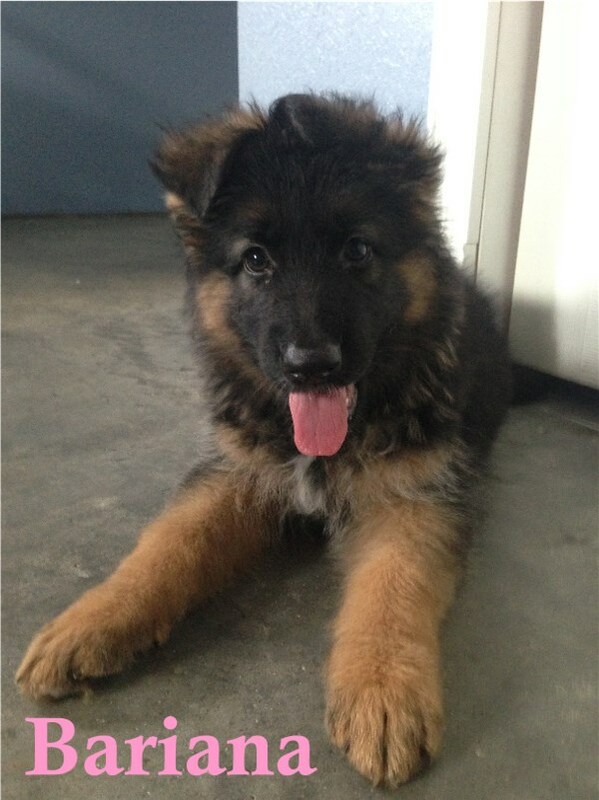 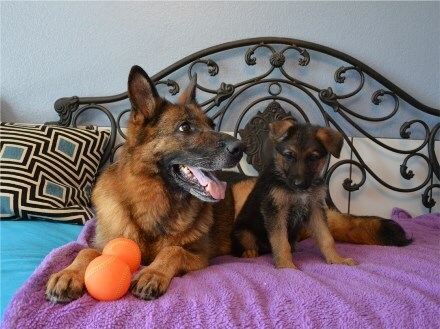 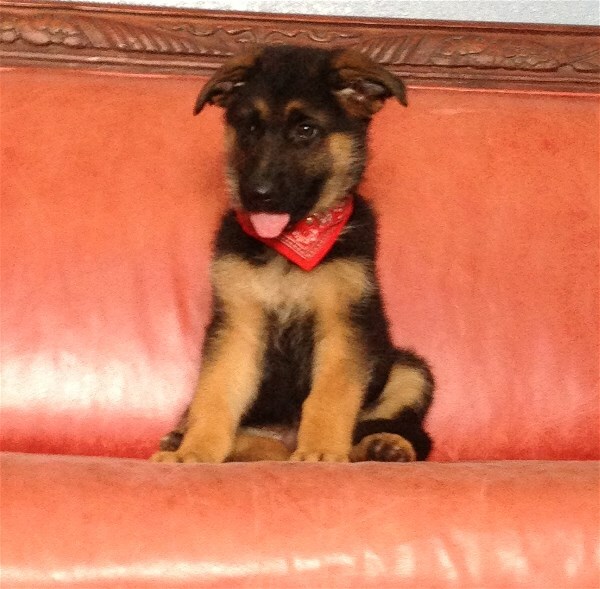 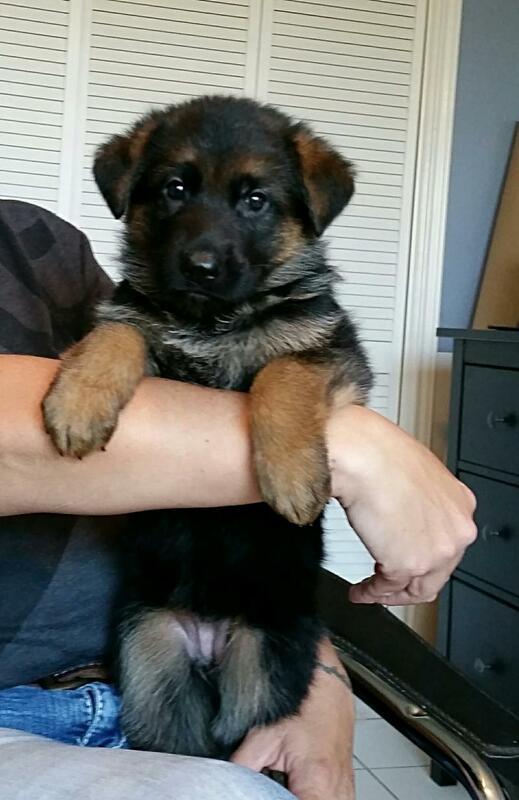 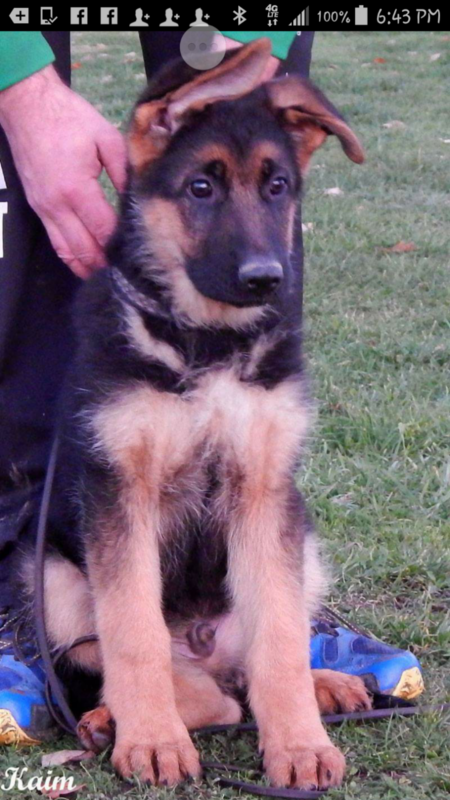 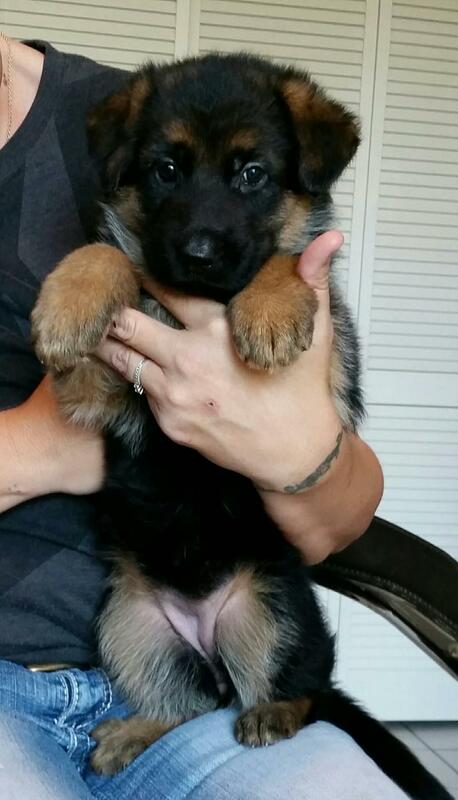 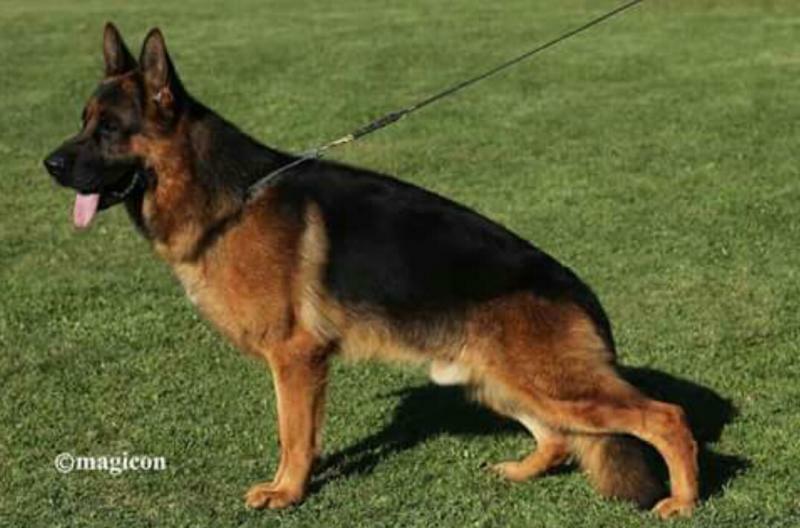 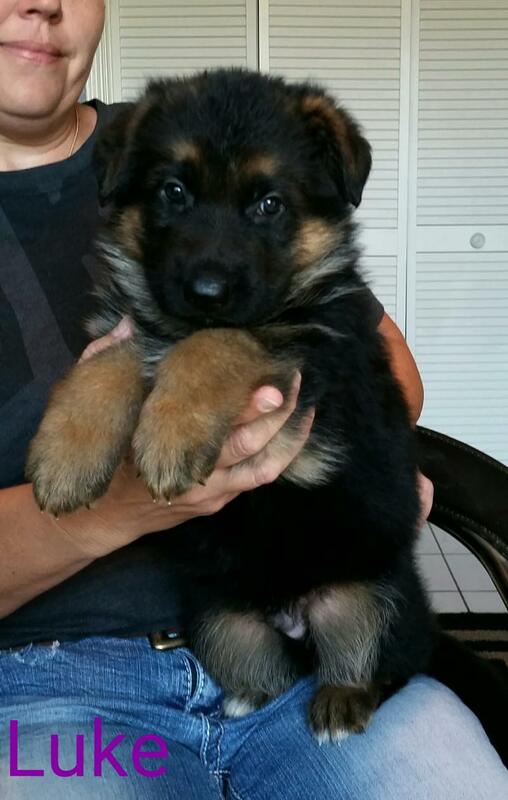 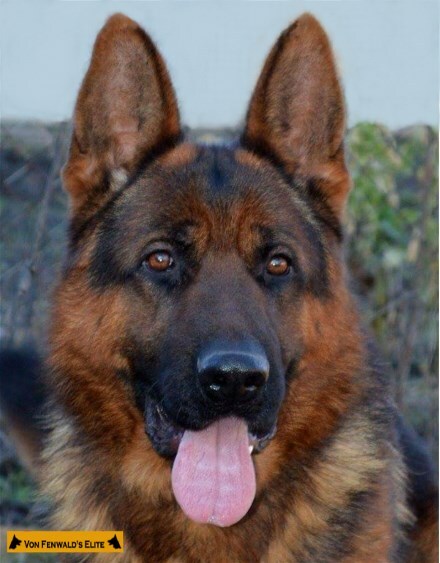 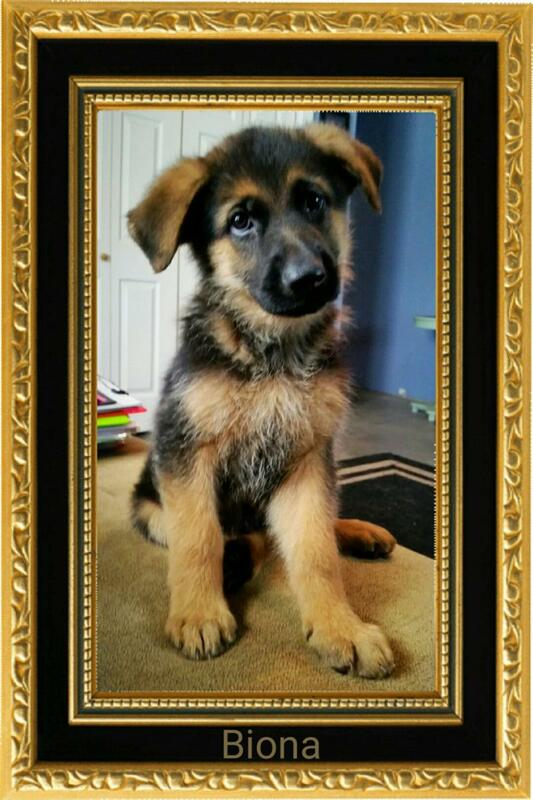 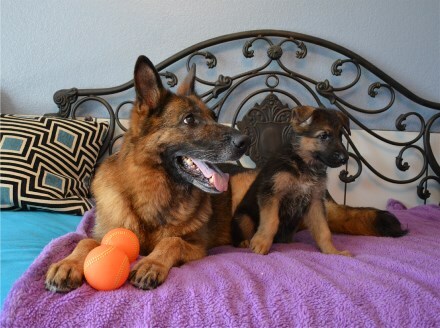 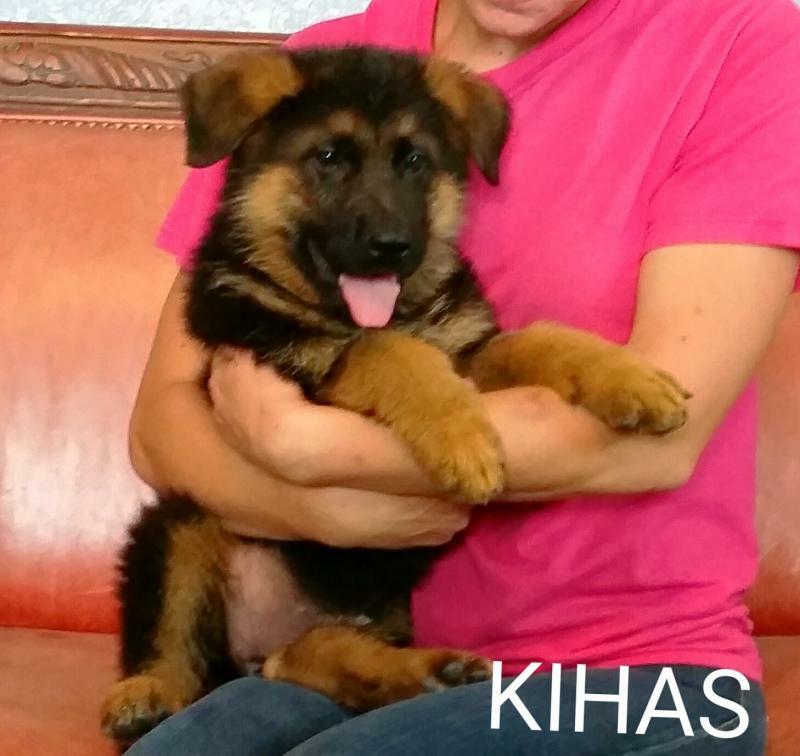 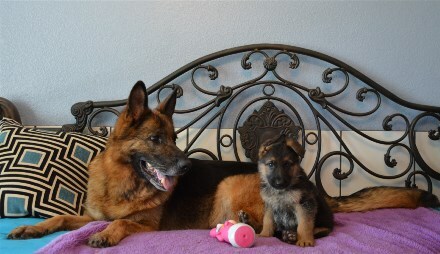 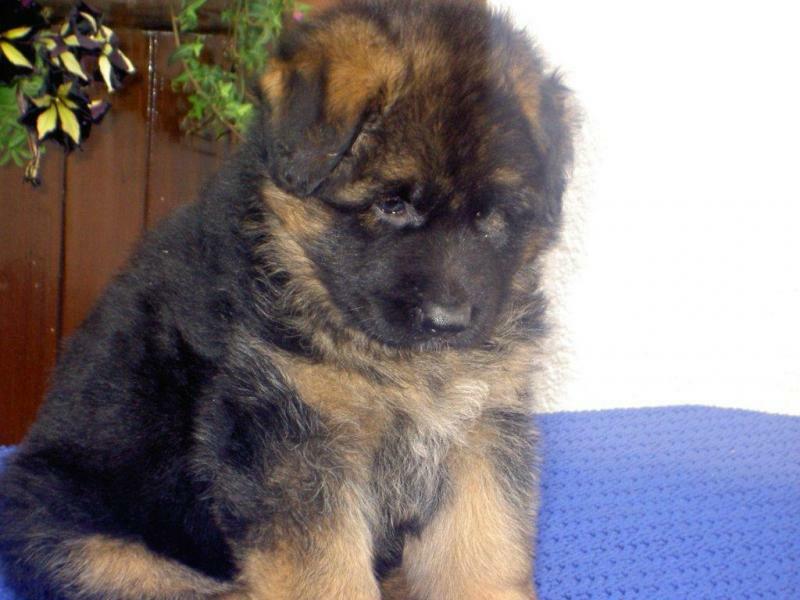 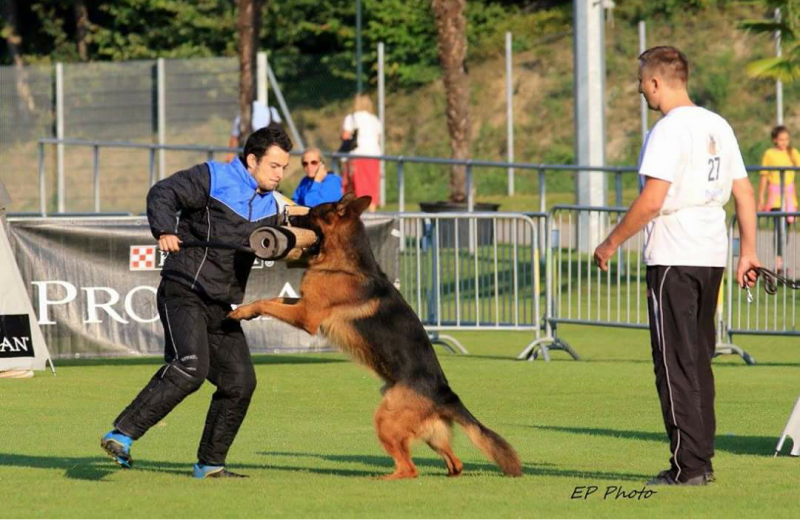 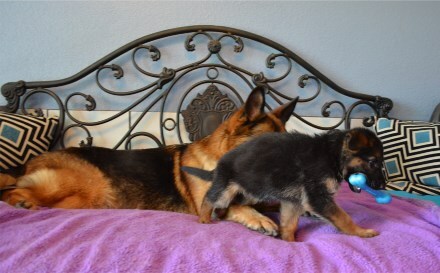 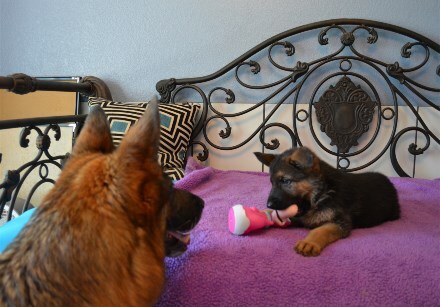 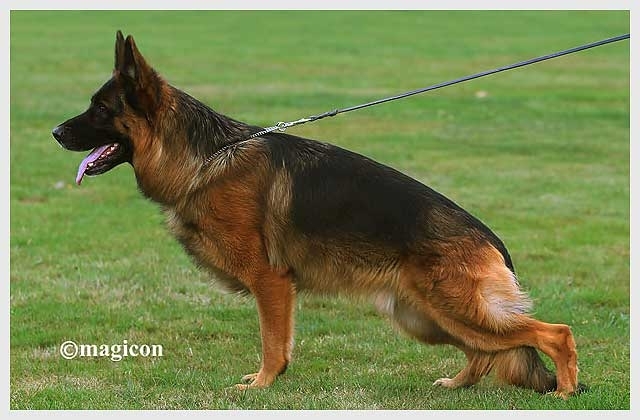 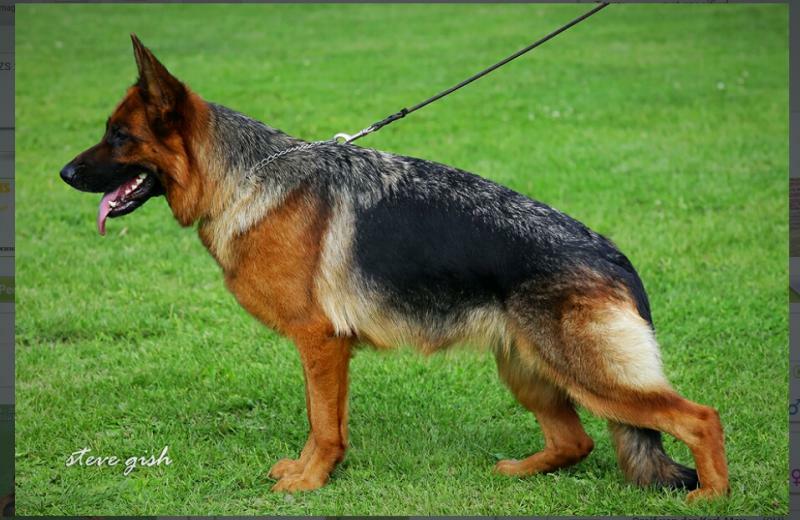 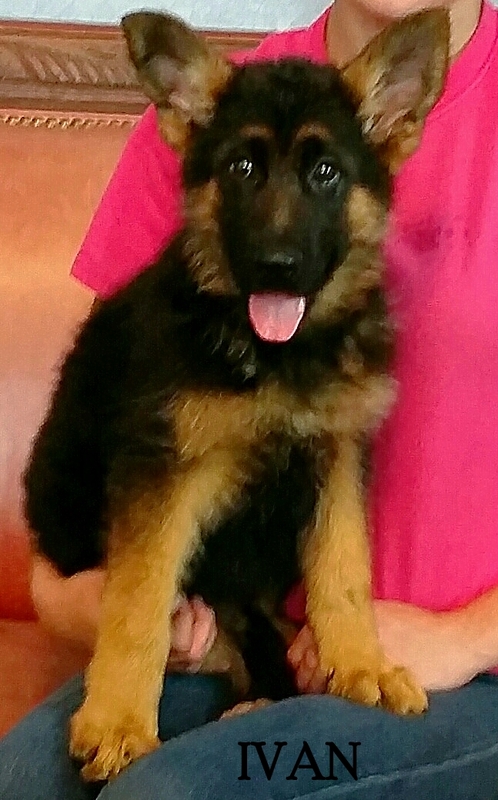 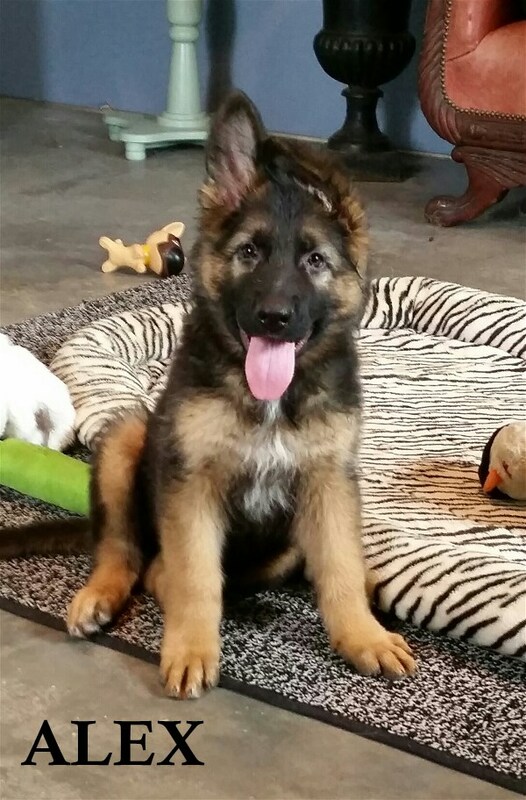 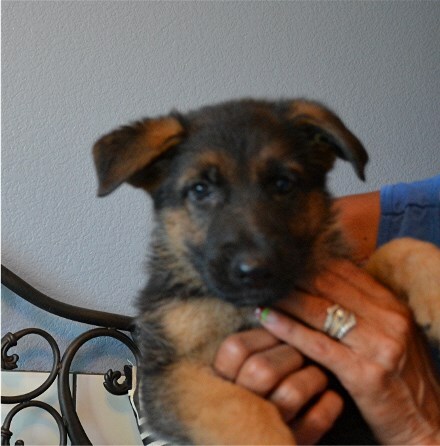 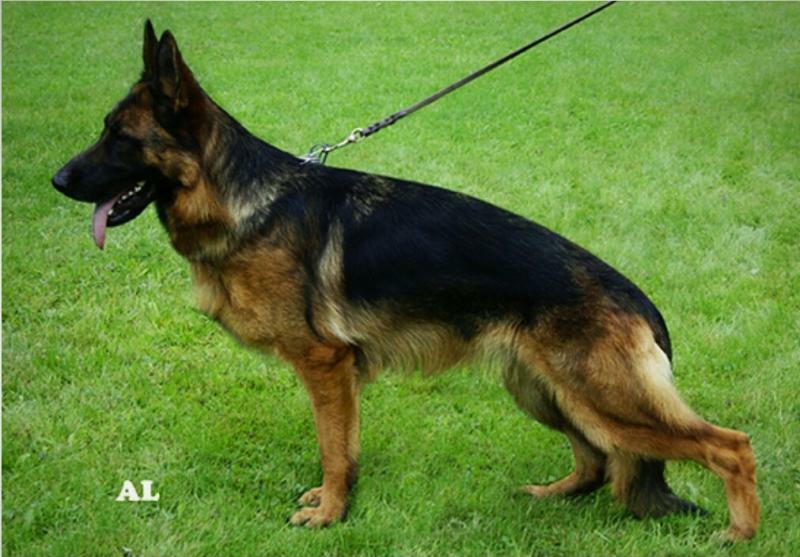 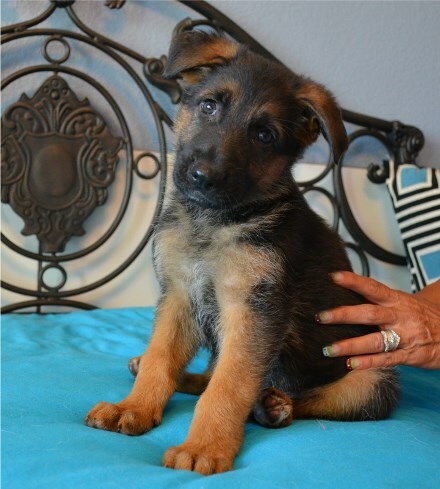 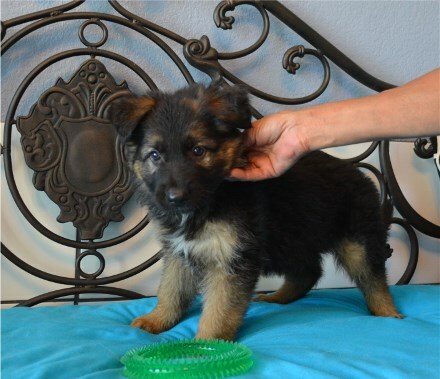 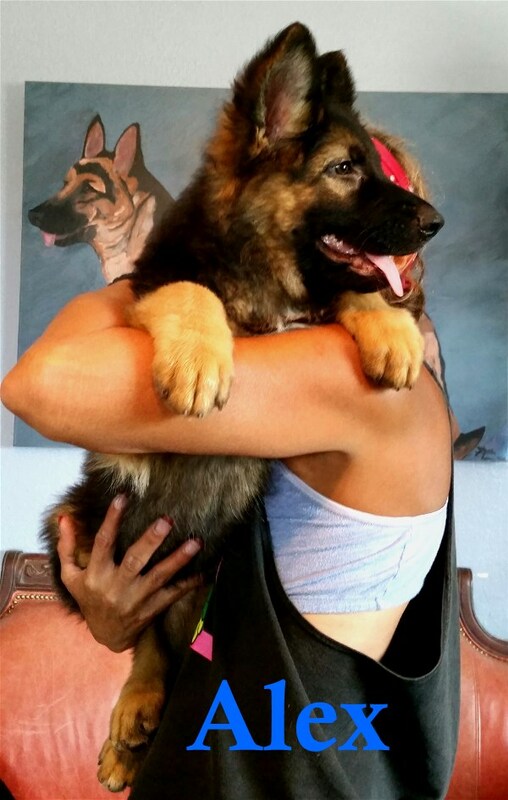 Congrats Joe of Killeen, Tx on your "Dream K9"
Congrats on your new Show & Schutzhund Pups. 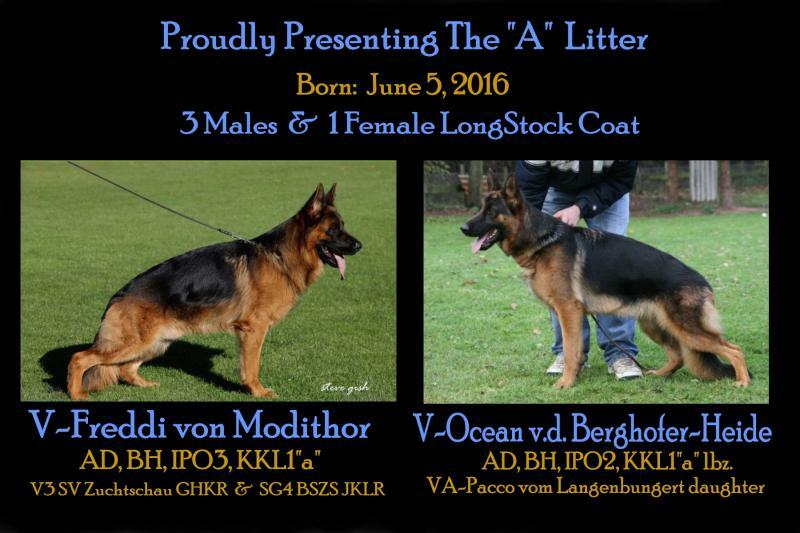 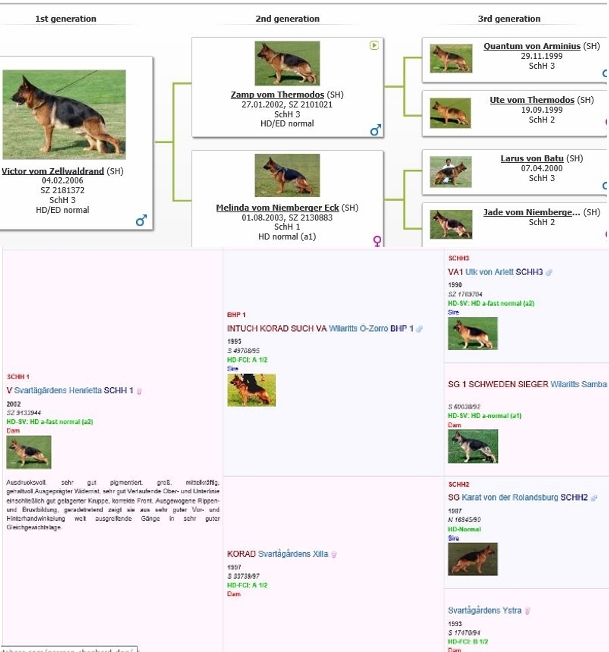 AD, BH, IPO3, KKL1"a" AD, BH, SchH2, KKL1"a"
on your 2nd dog from us! 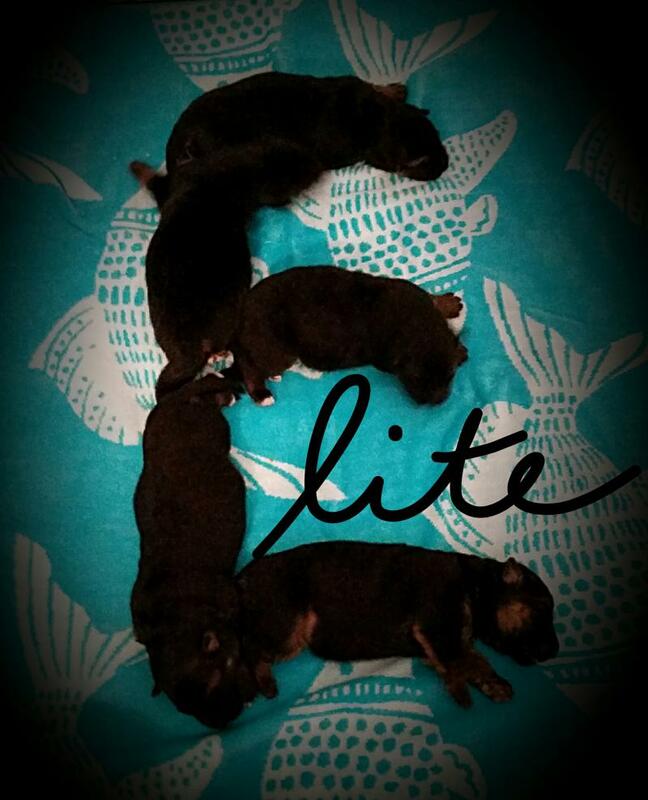 Congrats Katherine, Josh & the kids. 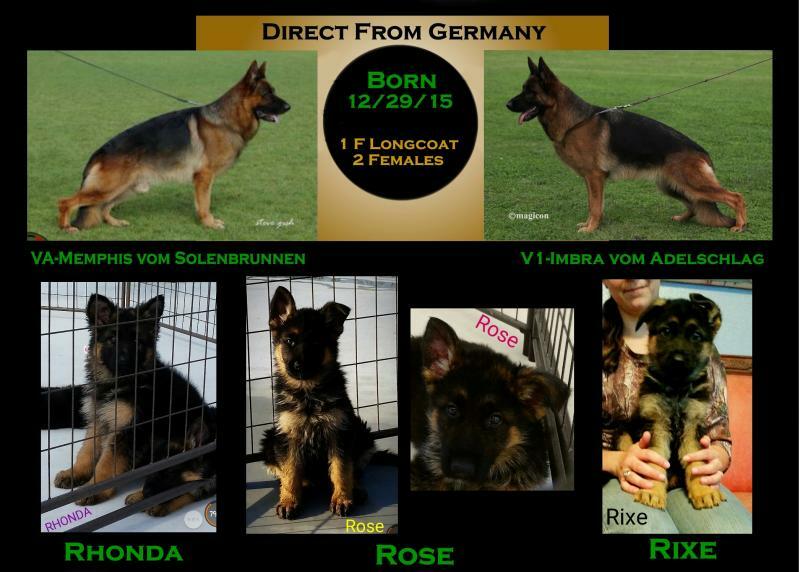 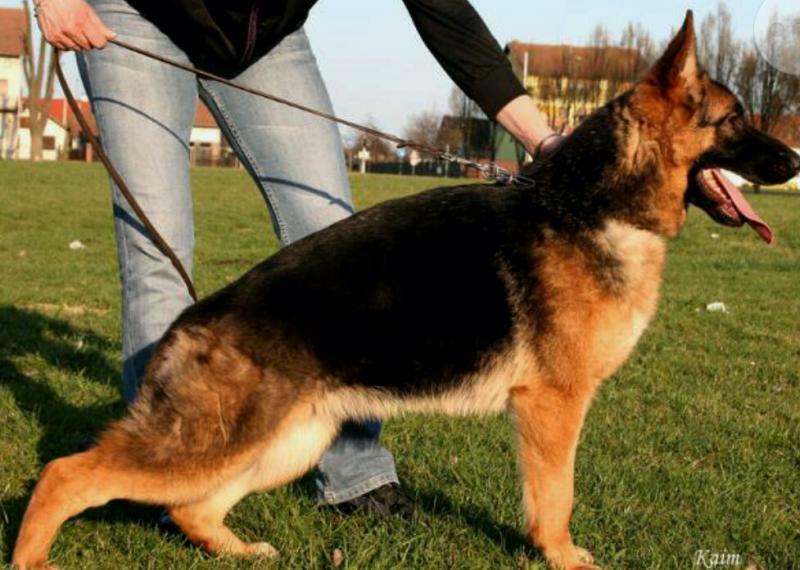 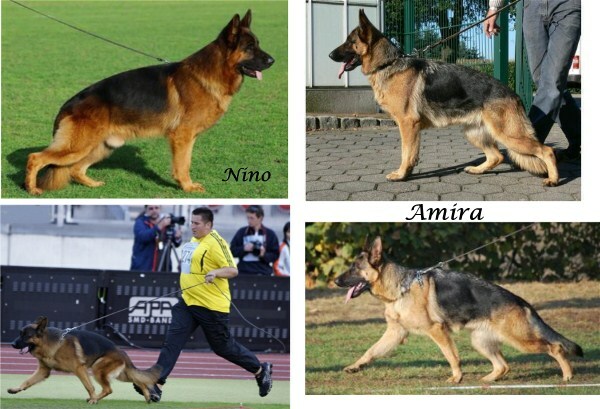 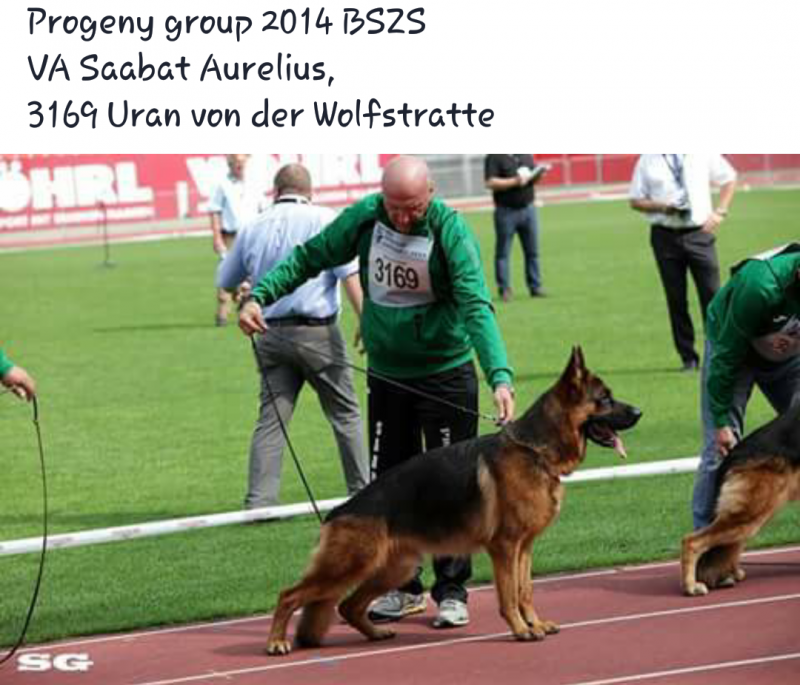 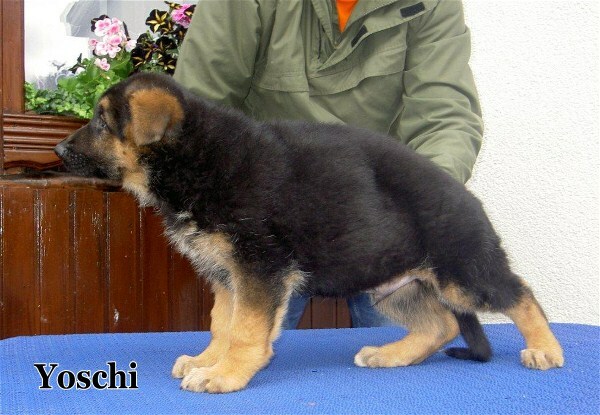 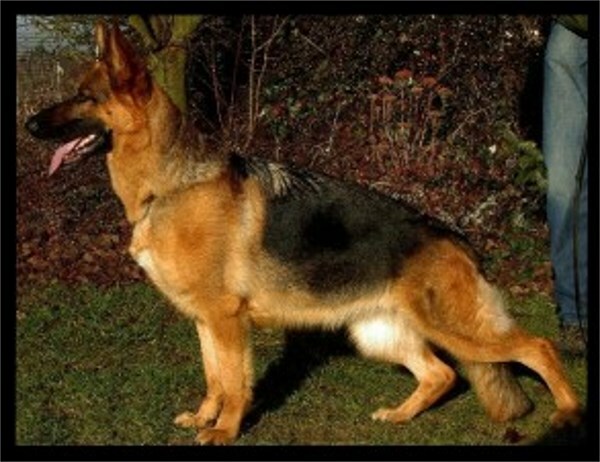 We look forward to training with both Yenny & Bismarck your other GSD. 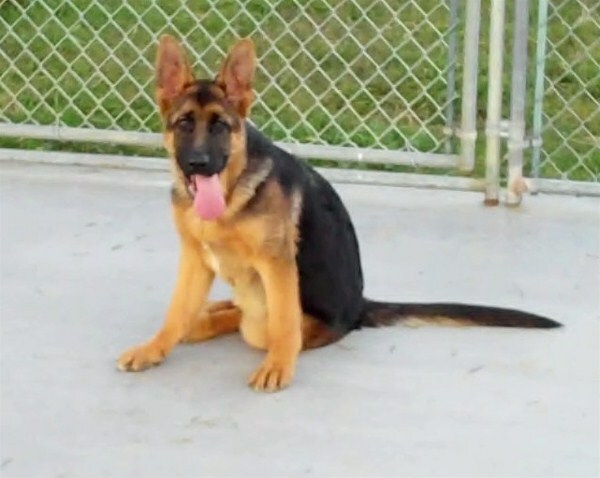 Yenny is housebroken, vaccines done, leash broken, imprinted for Off Leash Obedience, Sits & Down's on Command, Comes when called off leash, understands German & English. 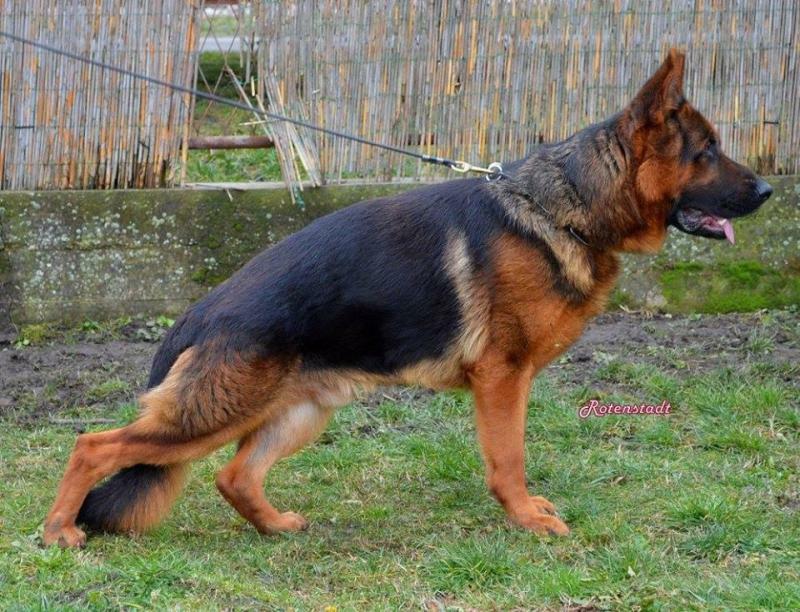 Absolute SHOW Quality! 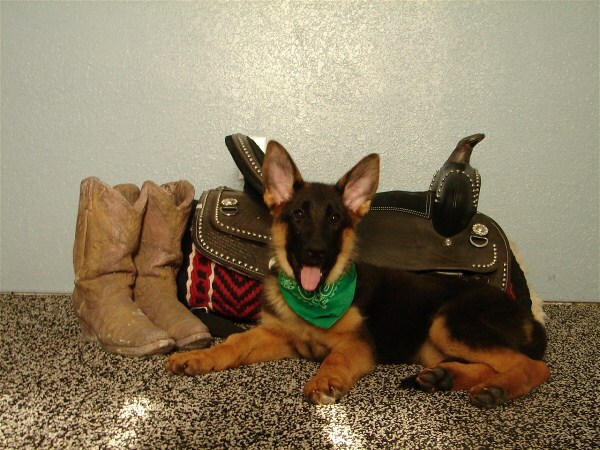 She's AWESOME! 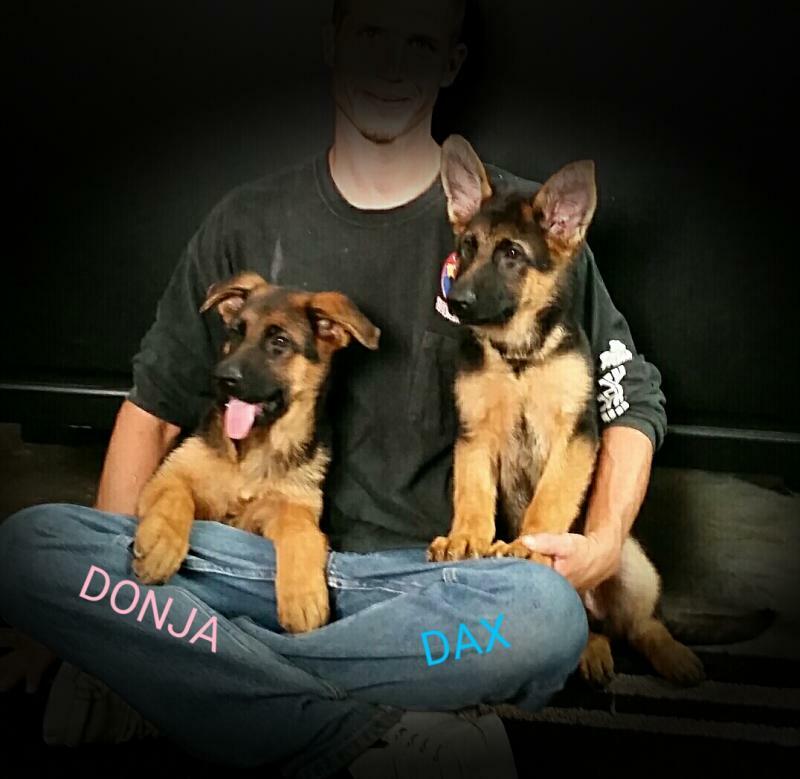 Congrats to Dan & Debbie of Minnesota! 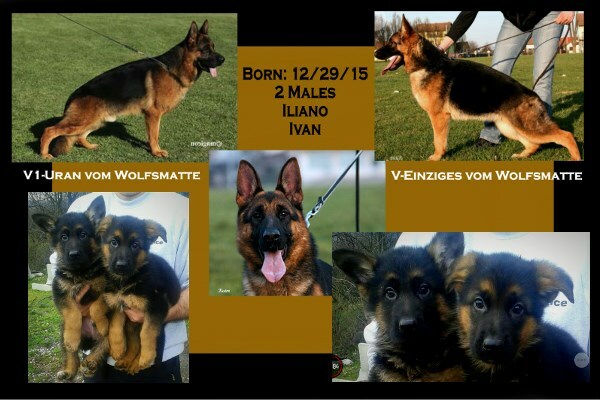 from Germany directly to Minnesota.